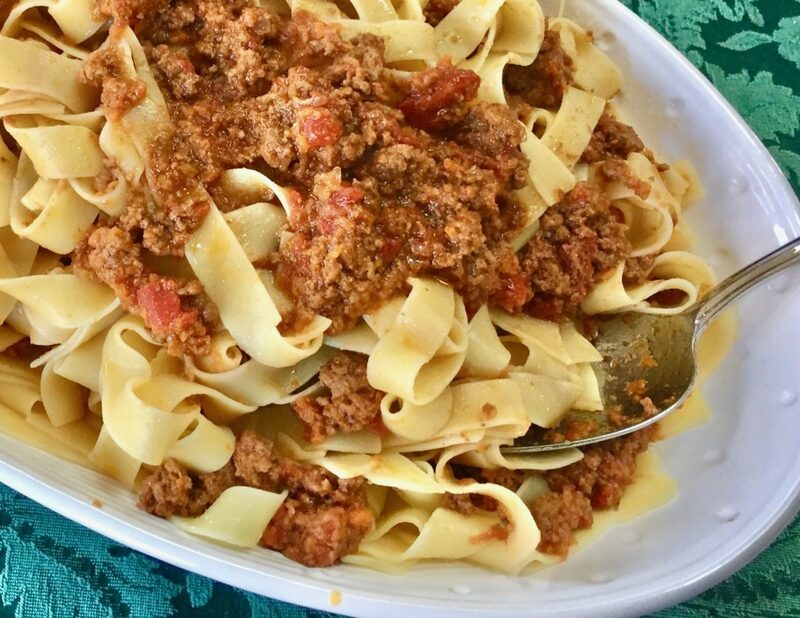 I don’t know why it took me this long to make her ragù Bolognese, but I’m glad I finally tasted for myself what Marcella followers have known for decades. It doesn’t get better than this. It takes a long time to simmer, but it’s worth the long wait. Add the ground meat and cook until it loses its pink color, then add the wine. Next comes the unusual step of adding milk and seasonings that include a generous grating of nutmeg. 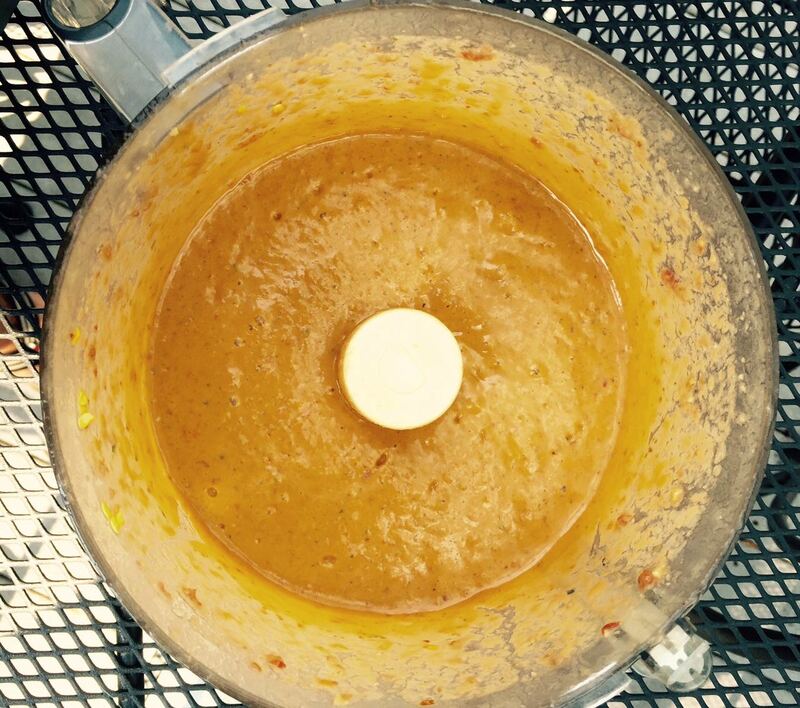 It looks curdled at first, but after it cooks and the milk gets absorbed into the meat, it will look more blended. Be patient, it may take a while for this step. The tomatoes are added last, after the milk has become absorbed. 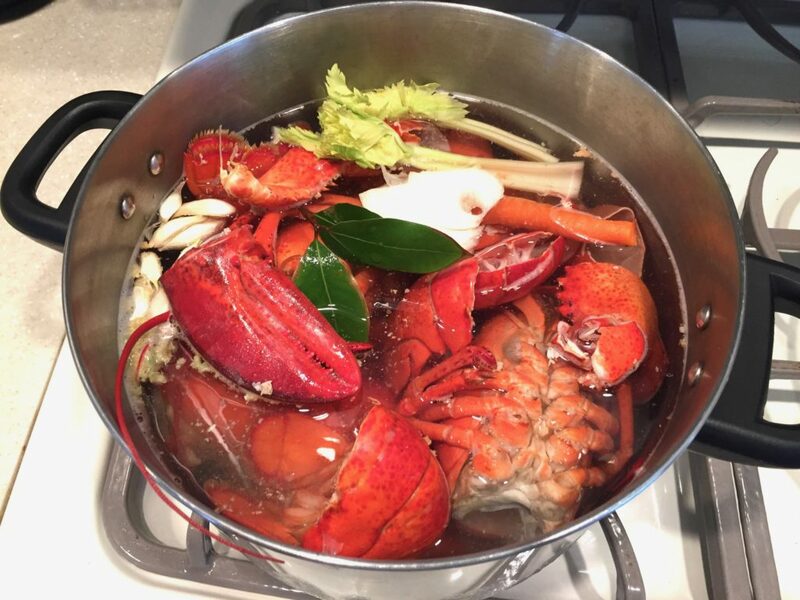 Turn the heat to low and let it simmer for at least three hours – even longer if you have time. 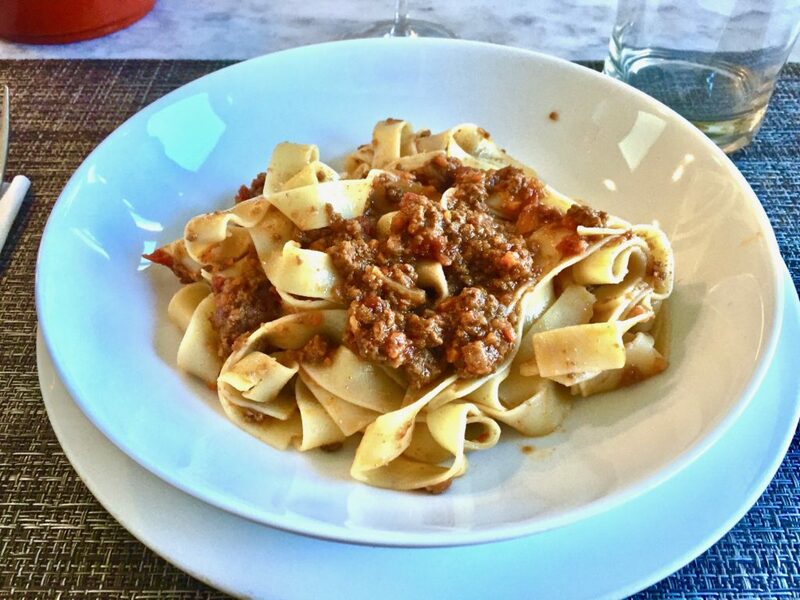 After the lengthy cooking at low temperature, you’ll be left with this rich, dense ragù. 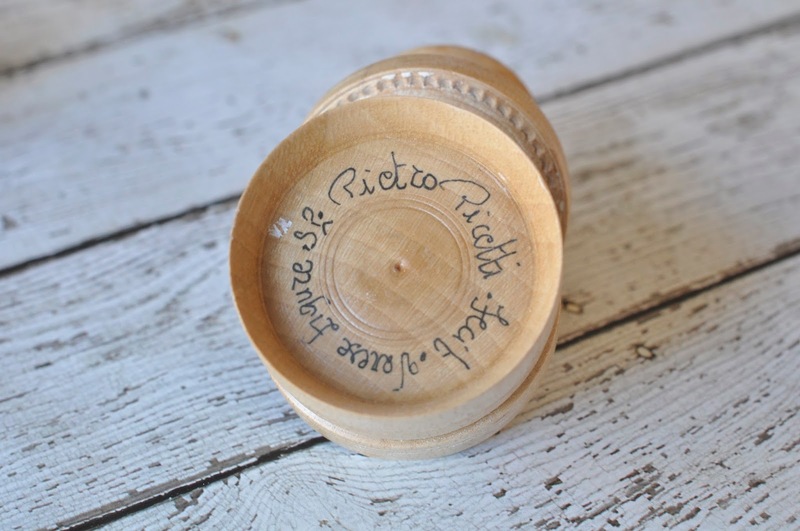 Perfect for adding to a bowl of pappardelle, as I did, or if you prefer, use tagliatelle, or fettuccine. 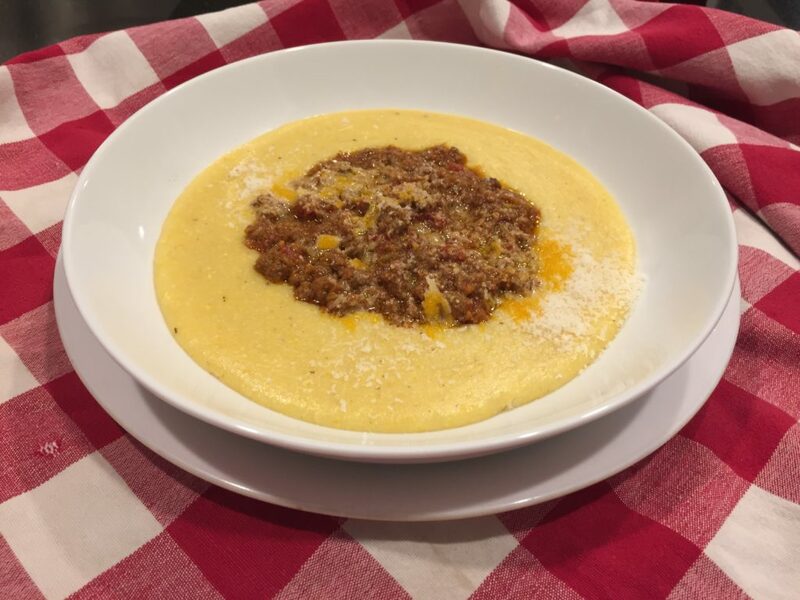 The recipe makes more ragù than I needed for the pound of pasta I cooked, so I served the leftover ragu another night with a bowl of polenta. It was equally as good and soul satisfying. 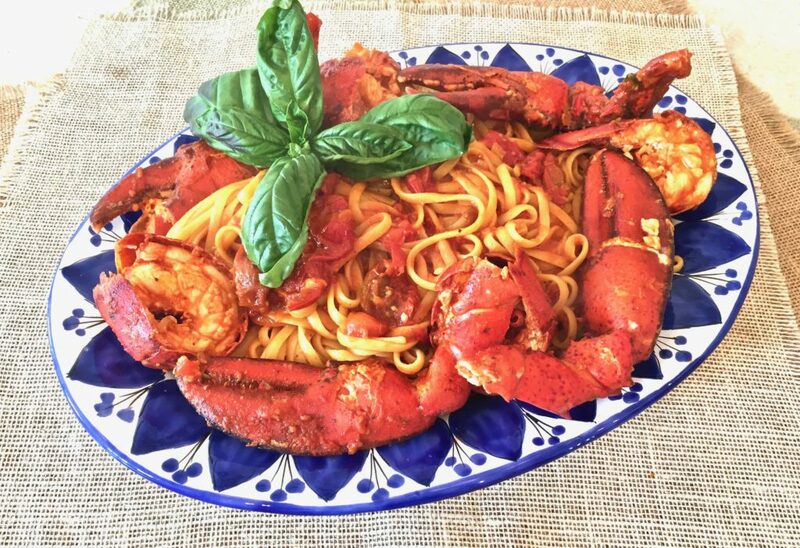 Grazie Marcella, for this gem of a recipe. And grazia, Victor, for keeping those memories alive through Marcella’s Facebook page. In a Dutch Oven or large heavy pot, add the onion with the oil and butter and saute briefly over medium heat until translucent. 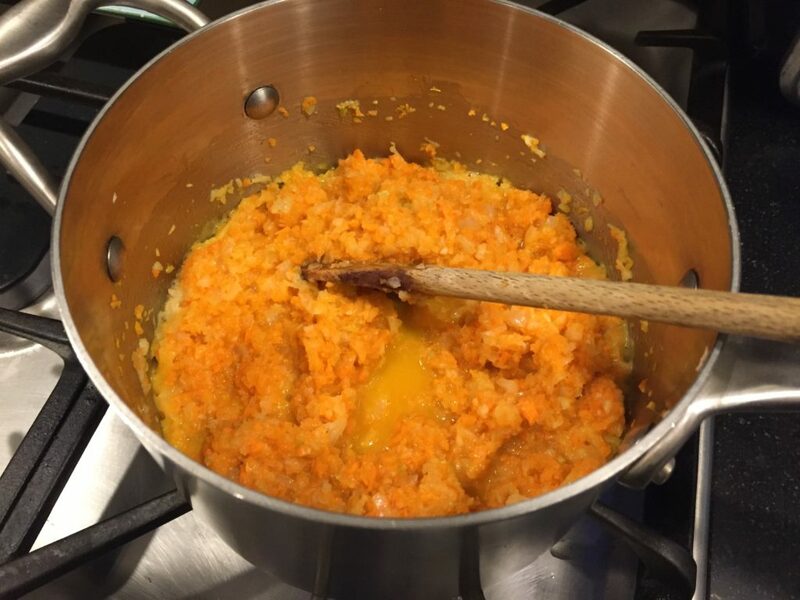 Add the celery and carrot and cook for 2 minutes. 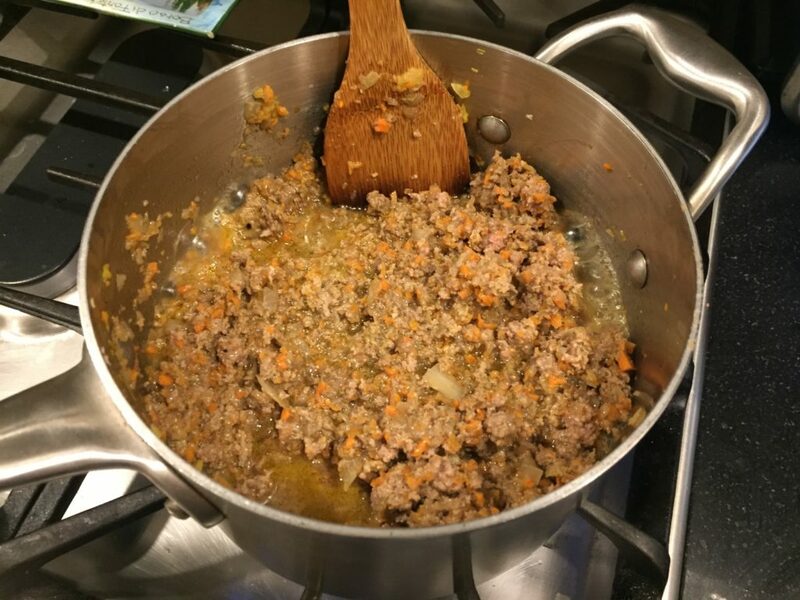 Add the ground beef, crumbling it in the pot with a fork. Add 1 teaspoon salt, stir, and cook only until the meat has lost its red, raw color. Add the wine, turn the heat up to medium high, and cook, stirring occasionally, until all the wine has evaporated. Turn the heat down to medium, add the milk and the nutmeg, and cook until the milk has evaporated. This may take a while. When the milk has evaporated, add the tomatoes and stir thoroughly. 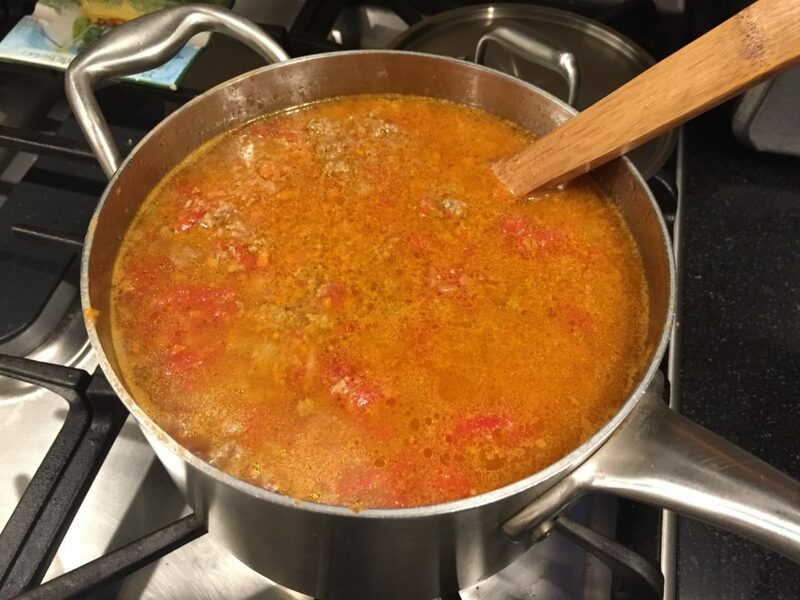 When the tomatoes have started to bubble, turn the heat down until the sauce cooks at the laziest simmer, just an occasional bubble. Cook, uncovered, for a minimum of 3½ to 4 hours, stirring occasionally. 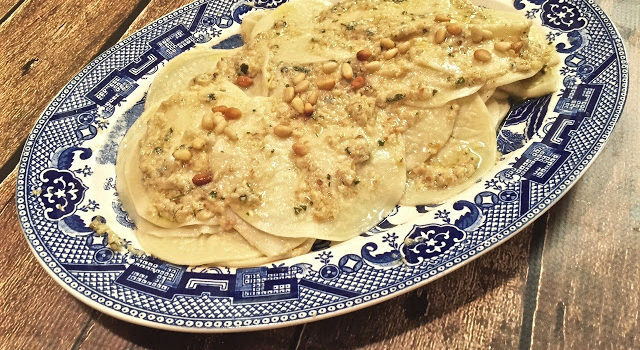 Serve with tagliatelle, or pappardelle, and a good sprinkling of grated parmesan cheese. I’ll bet a lot of you are like me and decide what’s for dinner by looking in your fridge or pantry to see what’s on hand. In this case, it was a small head of broccoli and a bag of pasta that got my creative juices flowing. 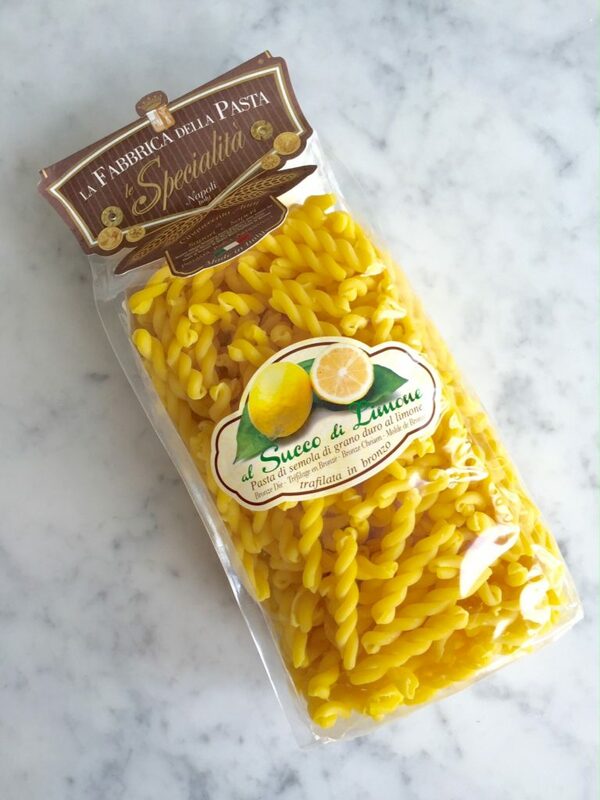 But it wasn’t just any pasta – it was this lemon pasta I bought at Claudio’s in Philadelphia a few months ago. I’ve used it before and it’s really as yellow as this photo and perfect for this dish. It’s available by mail order here. And what better occasion to pick a lemon from my small lemon tree than for this recipe? This plant, which enjoys warm sunshine and moist sea air during the summer, comes indoors for the winter. I’ve had the plant for a few years and while it bore fruit last year too, I waited too long to pick it because I hated to lose the decorative look of the yellow fruit hanging from the branches. 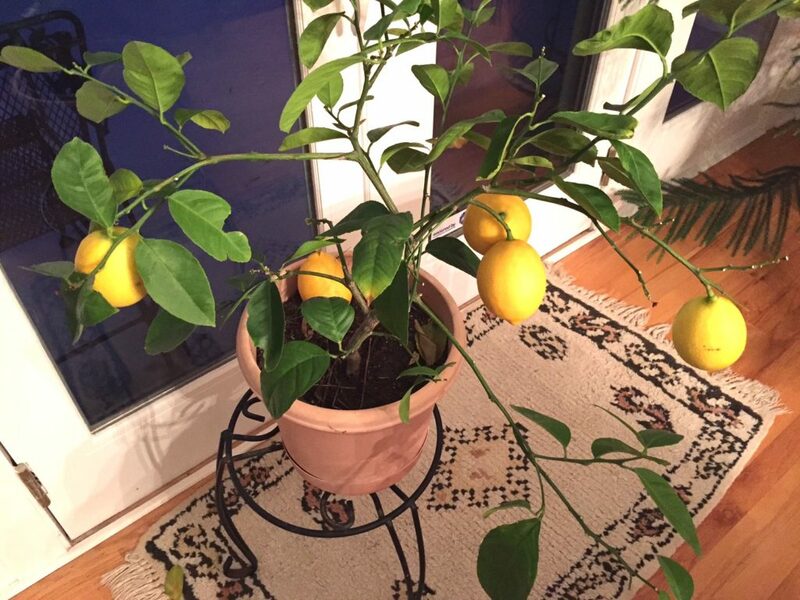 By the time I got around to plucking the lemons last year, they had dried out, a mistake I wasn’t going to make this year. 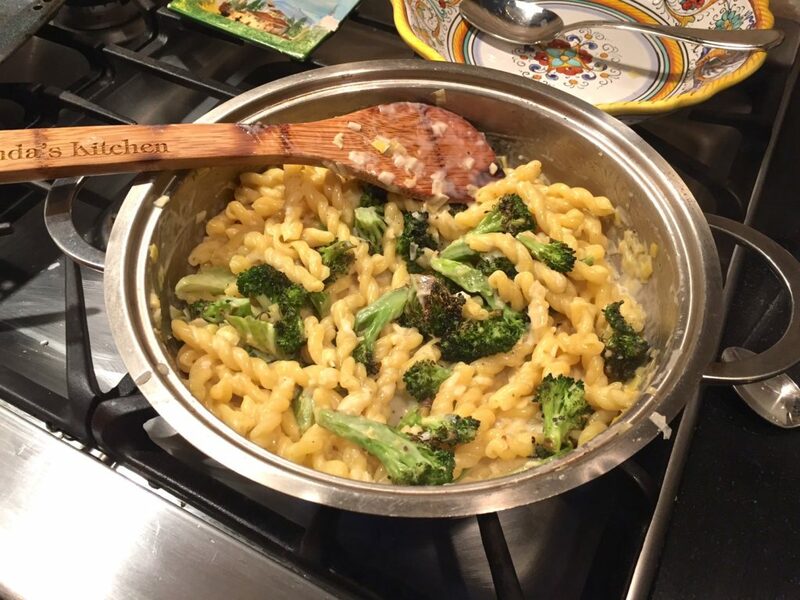 The sauce comes together quickly while the pasta is cooking, so get the broccoli into the oven and start making the sauce, sautéeing the leek and garlic, then adding wine, lemon rind and lemon juice. Add the pasta to the pan just before it gets to the al dente stage, pouring in a little of the pasta water to help it finish cooking. 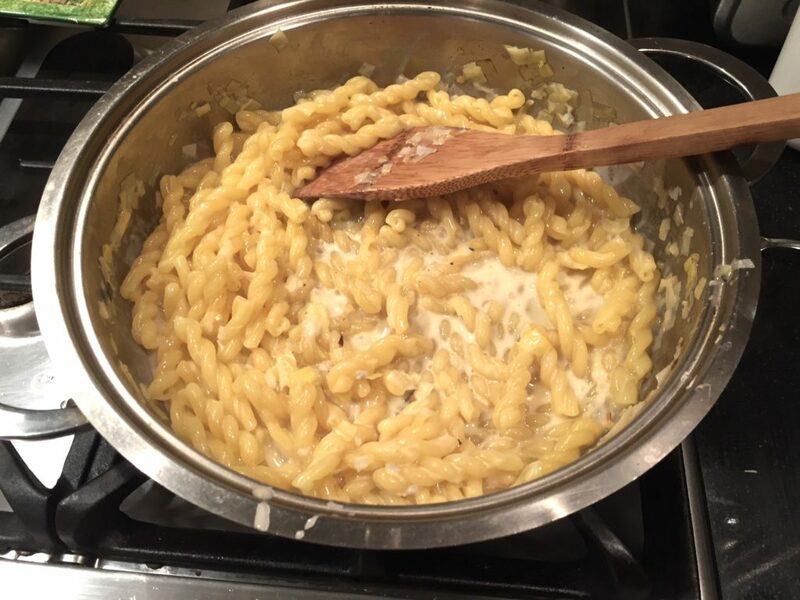 When it’s al dente, add a small amount of cream and stir to meld all the flavors together. Don’t worry if the sauce is a little loose. Once you add the parmesan cheese, it will thicken a bit. 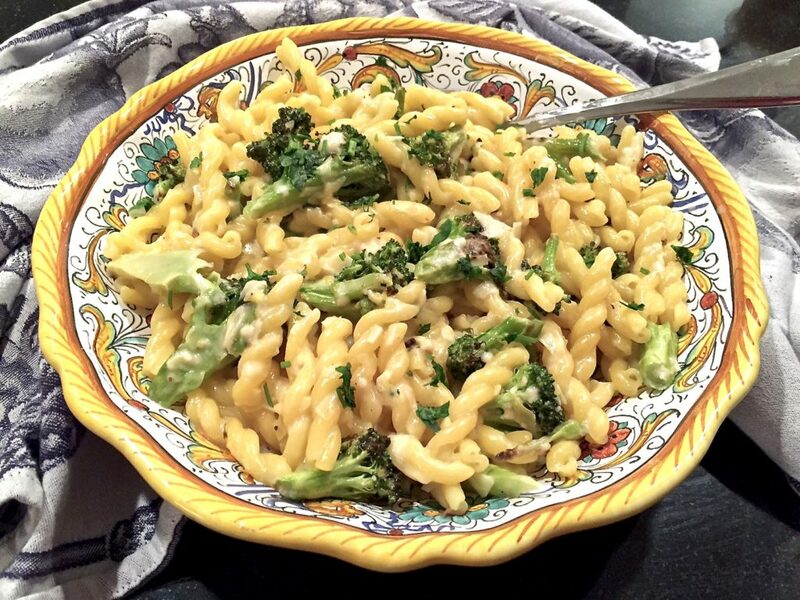 When the pasta is cooked, add the roasted broccoli, parmesan cheese and mix well. Serve in a warm bowl so the pasta doesn’t cool down too quickly. Roast the broccoli in a 425 degree oven, smeared with olive oil, salt and pepper, for about 15 minutes. Start the pasta to boil while you make the sauce. Saute the leek and garlic in the olive oil and butter until softened. Add the white wine and cook at high heat until reduced. 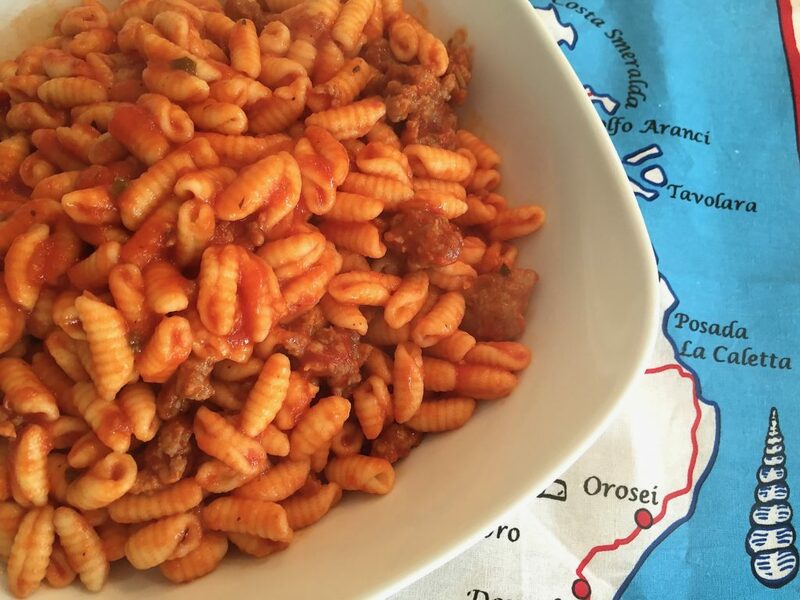 Cook the pasta until it has about one minute to go, leaving it "al dente" or even a little harder. Add the cooked pasta to the pot and finish cooking in the liquid, adding pasta water to continue the cooking. When the pasta is fully cooked, but still al dente, add the heavy cream, and stir in the roasted broccoli florets and parmesan cheese. 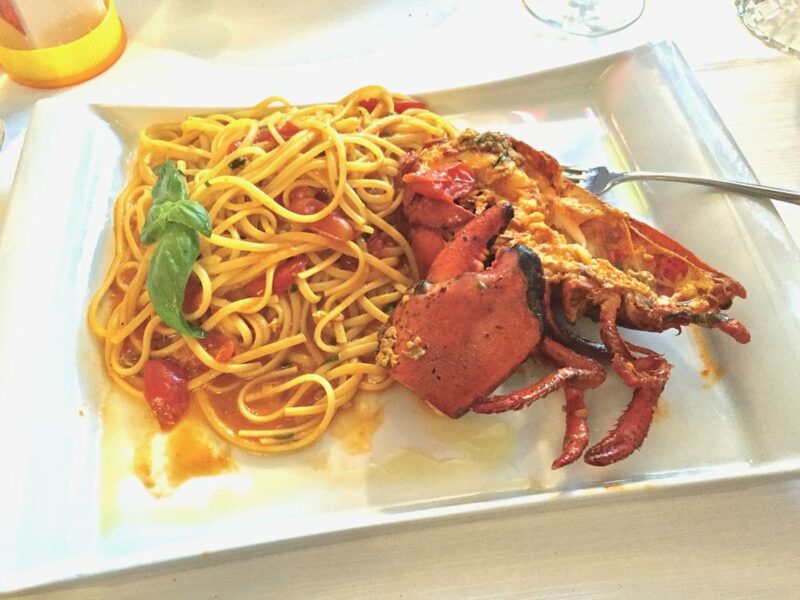 It’s anybody’s guess whether this dish is really Italian or not. 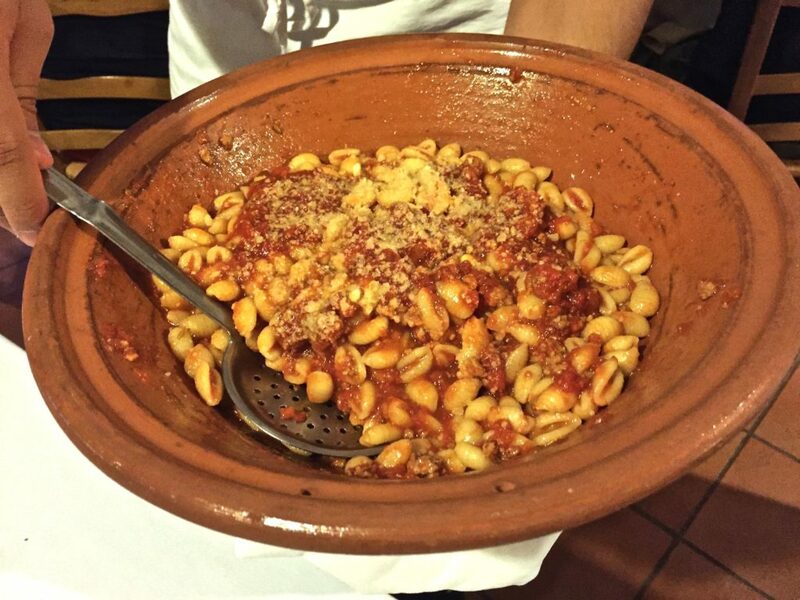 Some claim the dish was invented at Dante’s, a restaurant in Bologna, Italy. 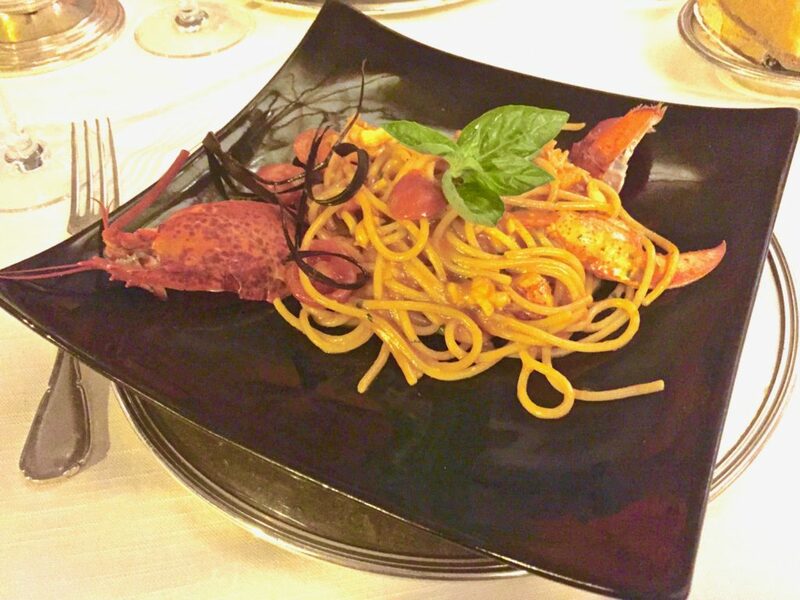 Luigi Franzese, a chef at New York’s Orsini restaurant in the 1970s is also sometimes credited. But other sources relate that a certain James Doty, a graduate of Colombia University, was the originator. While its origins are murky, the flavor is not. 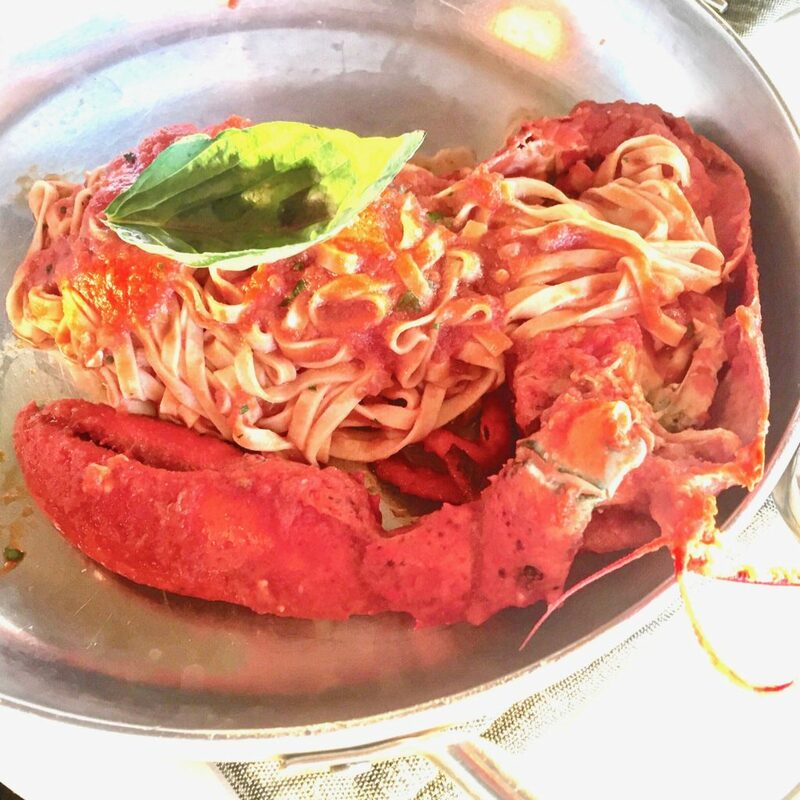 I’ve never seen it on a menu in Italy, but it’s certainly ubiquitous here in the states and for good reason — it tastes delicious. It’s also perfect for the home cook owing to its ease of preparation. The whole dish comes together in less than 30 minutes. 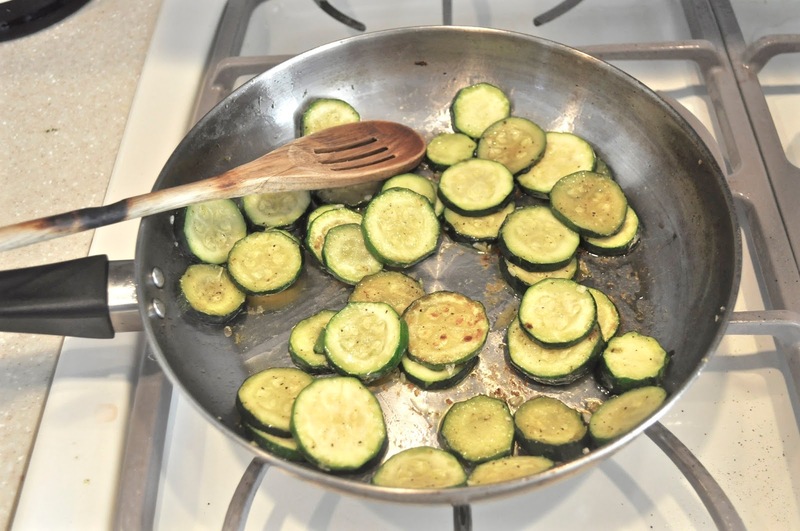 It’s also perfect for those of you thinking of meatless dishes to prepare for Lent. 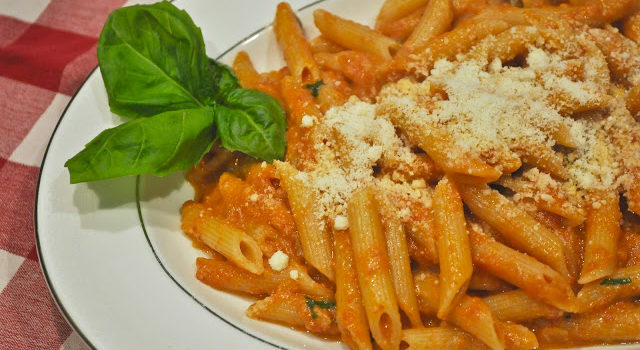 Pour yourself a Bloody Mary, but set aside a little of that vodka for Penne Alla Vodka. 1/4 cup grated parmesan cheese, plus more for the table.Sauté the onion and garlic in the olive oil until wilted. Add the tomato sauce, vodka, salt, pepper and a little of the basil, saving some whole leaves to decorate with at the end. 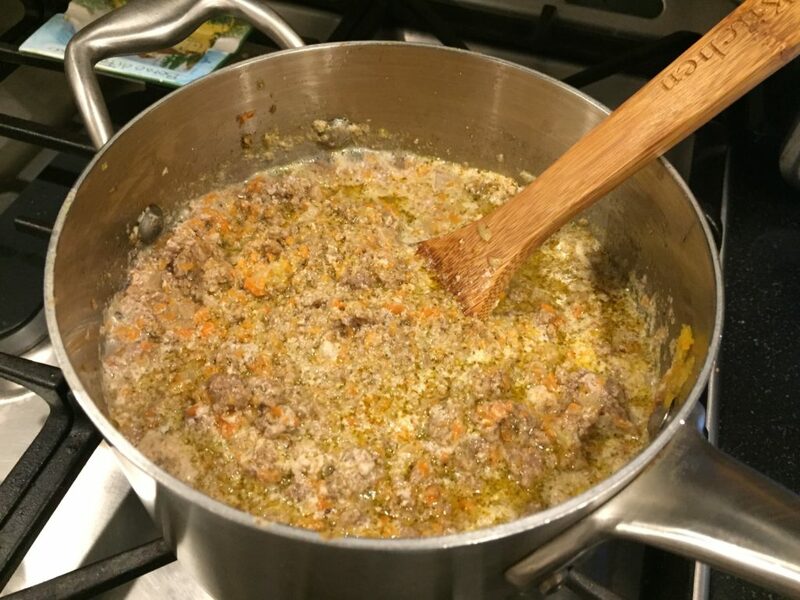 Cook the sauce over high heat until it starts to “sputter,” then lower immediately to a simmer for about 15 minutes to a half hour, stirring occasionally. Bring the water for the pasta to a boil, adding salt. Dump the pasta into the boiling water and cook according to package instructions. While the pasta is cooking, stir the cream into the sauce at low heat. 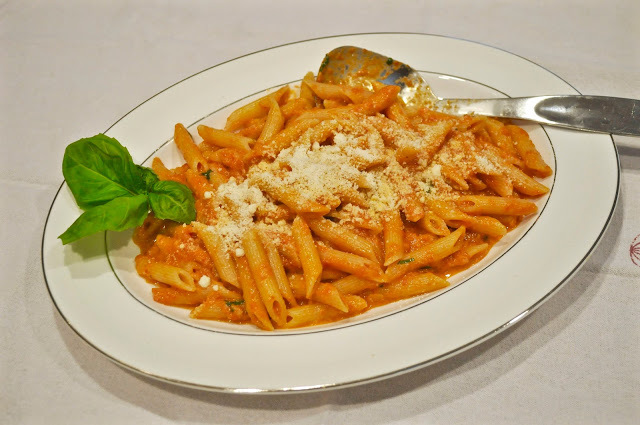 When the pasta is al dente, drain it from the water and add it to the pot with the sauce. (I like to take out a little sauce from the pot in case it is too much sauce for the pasta. 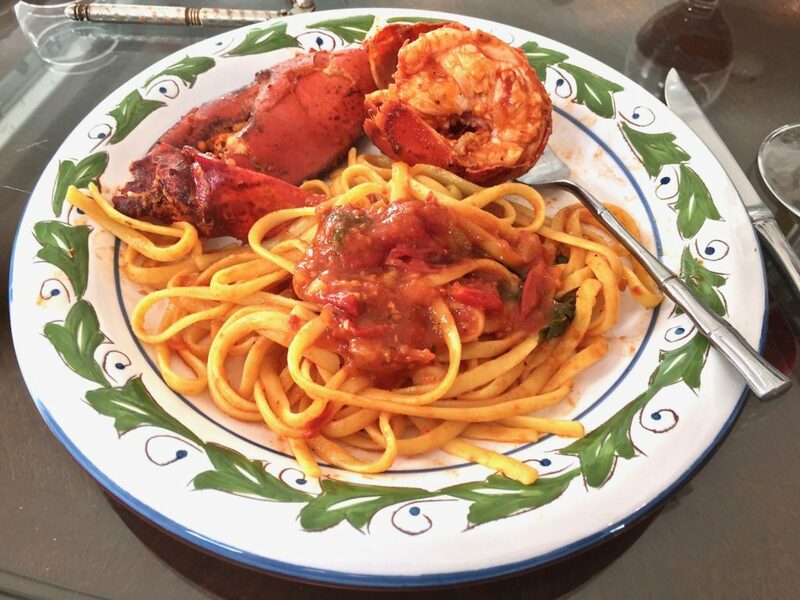 I don’t like my pasta to be “swimming” in sauce – just dressed lightly. You can always add it back in if it’s not enough). Stir the pasta into the sauce while you have it over a simmer, until the sauce is permeated through the pasta. Turn off the heat and add 1/4 cup parmesan cheese. Serve with more grated cheese at the table. During a recent visit to Williams-Sonoma, I spotted bags filled with this snowflake (fiochi di neve) pasta and knew it would be perfect for this holiday season. I have a weakness for pasta shapes, and there are always at least five or six different kinds in my cabinet. There are umpteen ways you could dress this pasta, but I thought it deserved a festive red and green treatment with Christmas just around the corner. Using just what I had in the fridge and freezer (part of a red pepper, half a bag of peas, some ricotta and parmesan cheese), dinner was on the table in the time it took to boil the pasta. 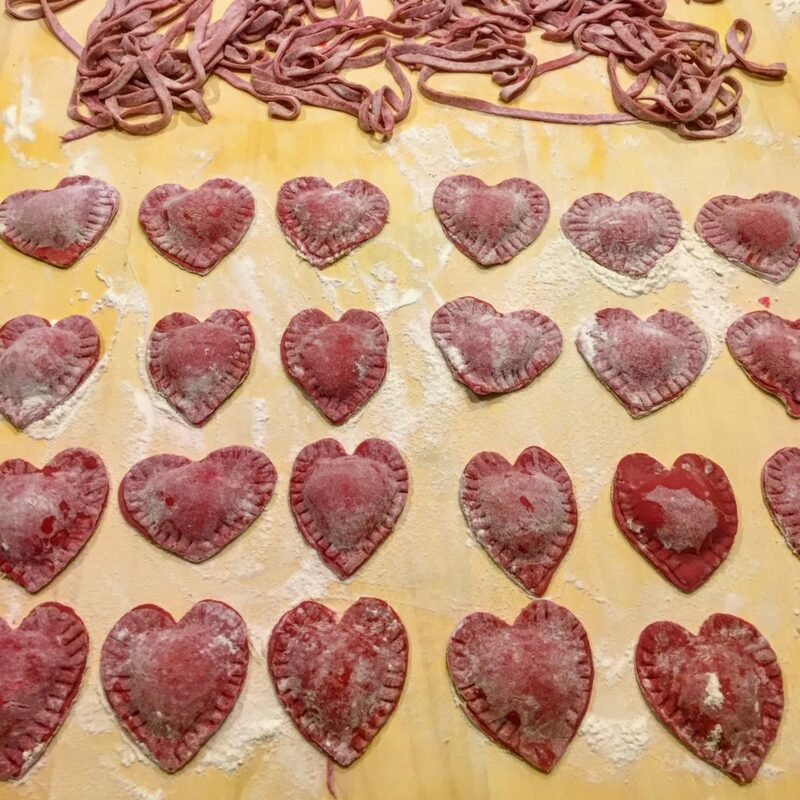 Of course, you can make this recipe with any pasta shape, but the snowflakes are just so apropos for this time of year. 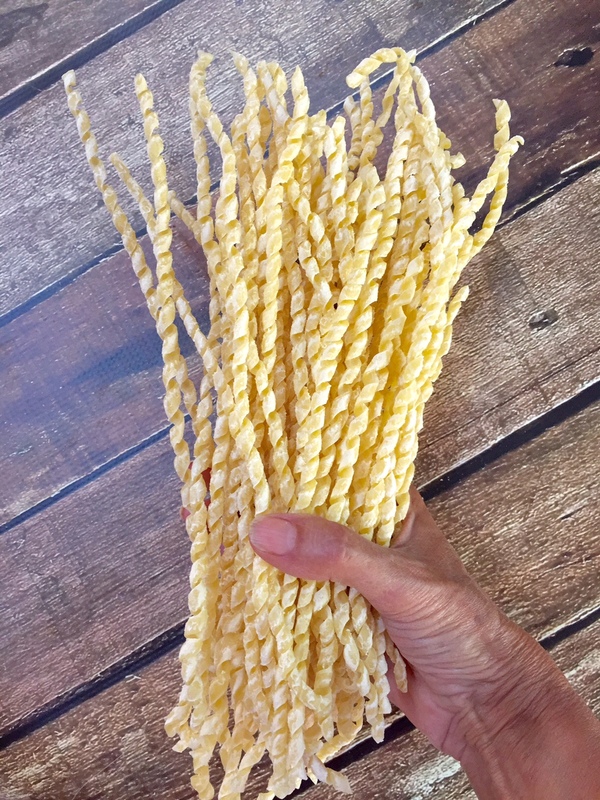 If you do use this snowflake pasta, with this recipe or any other (click here to buy it) take a photo and email it to me. I’d love to see your creation. Cook the pasta in salted, boiling water until almost done. 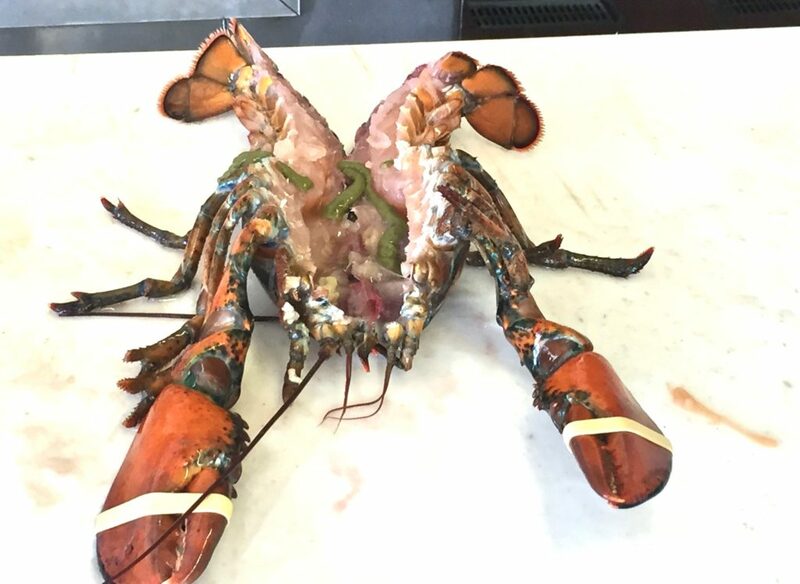 It will cook a little longer in the sauce. 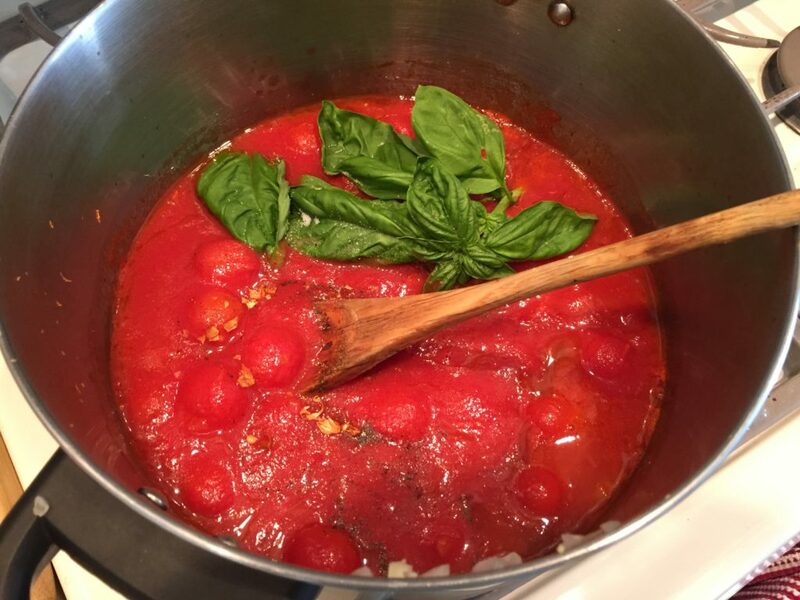 While the pasta is cooking, make the sauce. Sauté the onion and pepper at low to medium heat in the olive oil until softened. Add the frozen peas and stir. Season to taste with salt and pepper, and red pepper flakes, if desired. 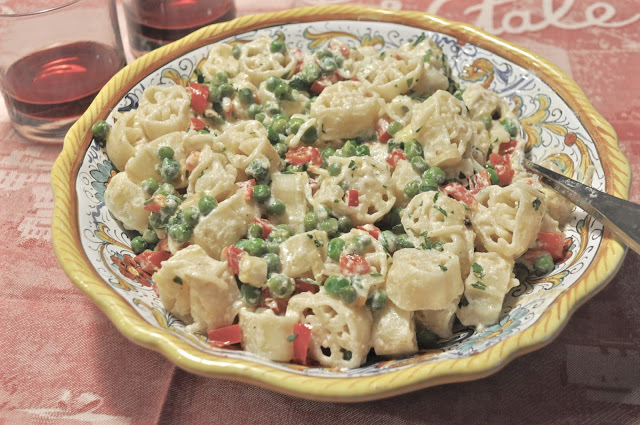 Using a slotted spoon or “spider” tool, drain the pasta right into the pan with the peas and red peppers. 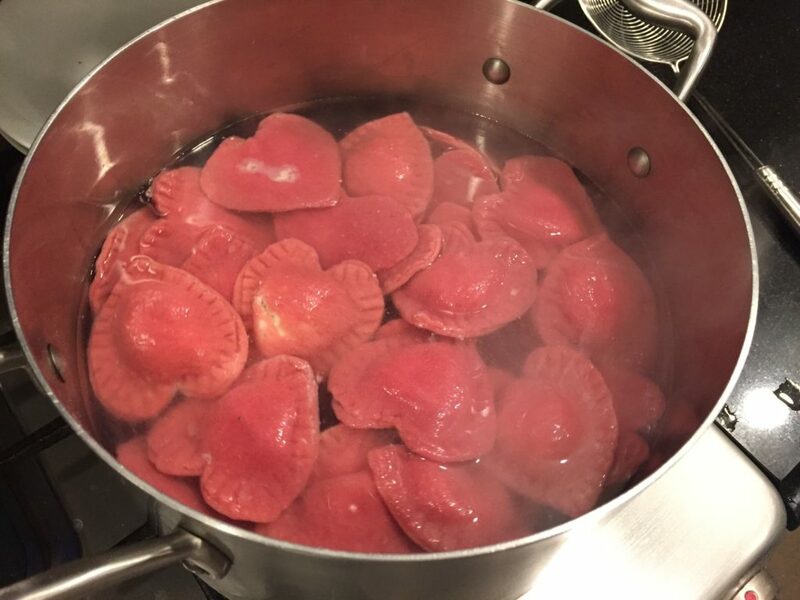 It’s ok if some of the pasta water gets into the pan too. 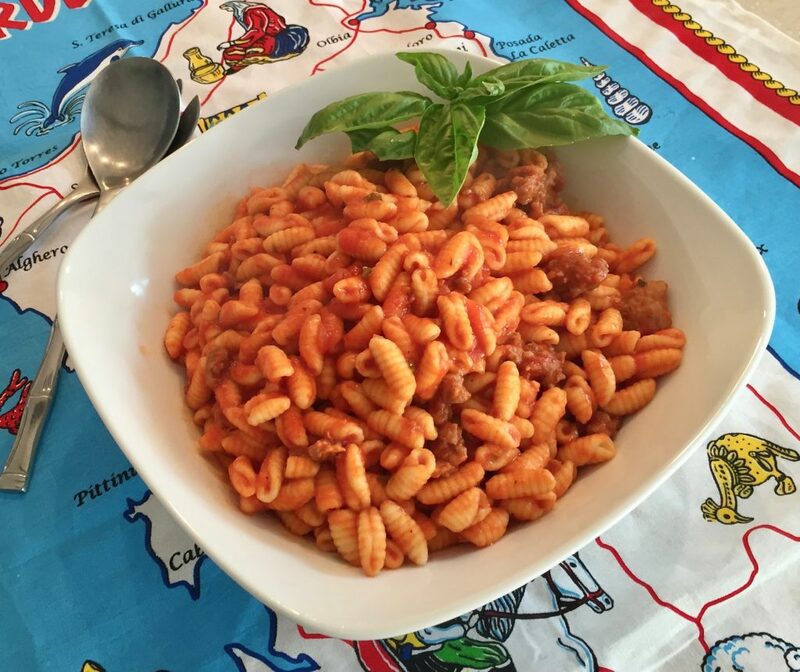 In fact, you’ll need to reserve about a cup of the pasta water for this recipe. You may not use all the water – maybe only half of it – but it’s good to have it on hand. After draining the pasta into the red peppers and peas mixture, add spoonfuls of the ricotta cheese and some of the reserved pasta water. Stir and blend everything together. 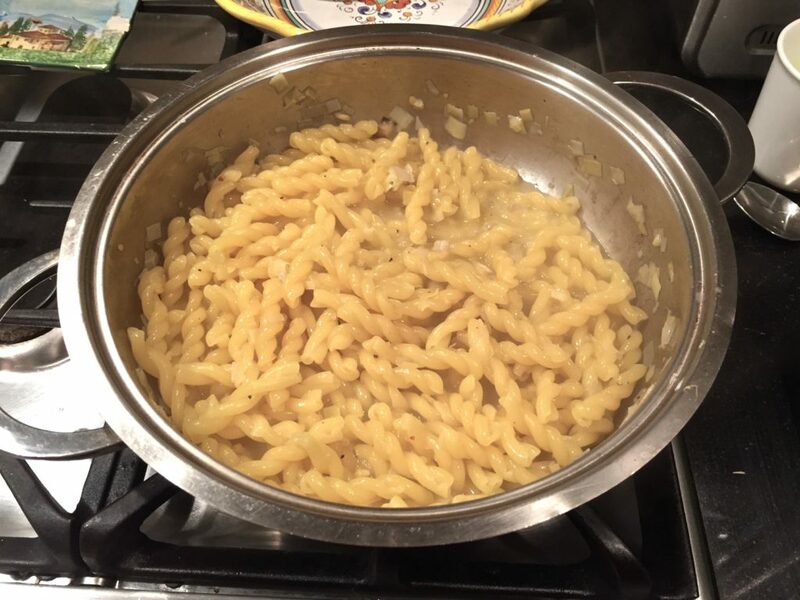 You want it to be moist, not dry, and you may need to add more pasta water as the pasta continues to absorb it. Keep stirring in the rest of the ricotta and pasta water (at low heat) until you have the desired consistency – not soupy, but not dry either). 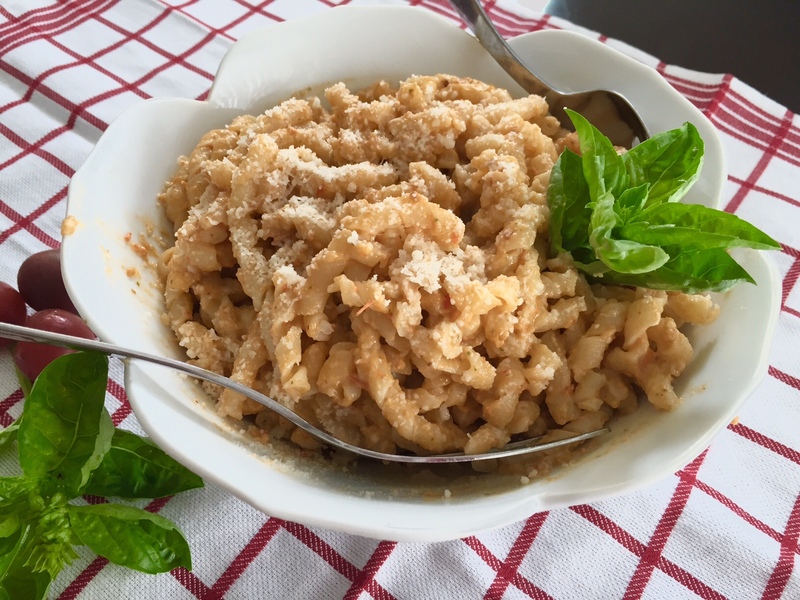 Turn off the heat and stir in the parmesan cheese, leaving some to serve at the table. 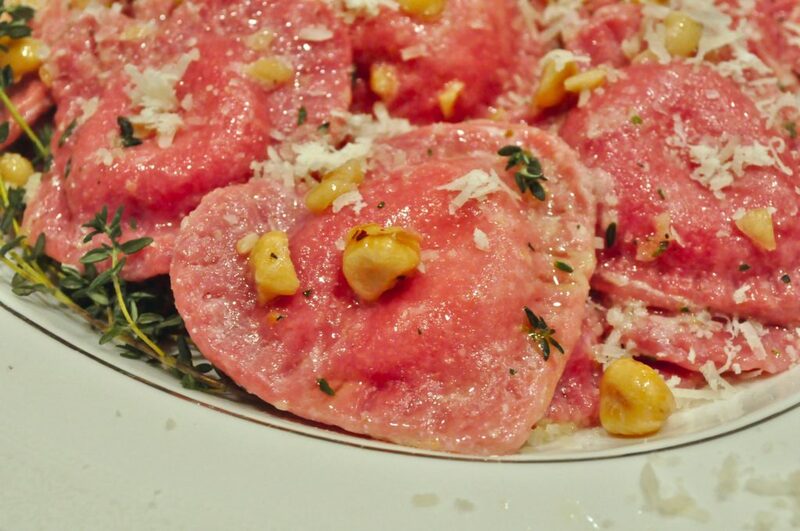 Sprinkle with a little minced parsley and serve. One of the true joys of traveling is discovering people who are maintaining culinary traditions that might otherwise be lost. 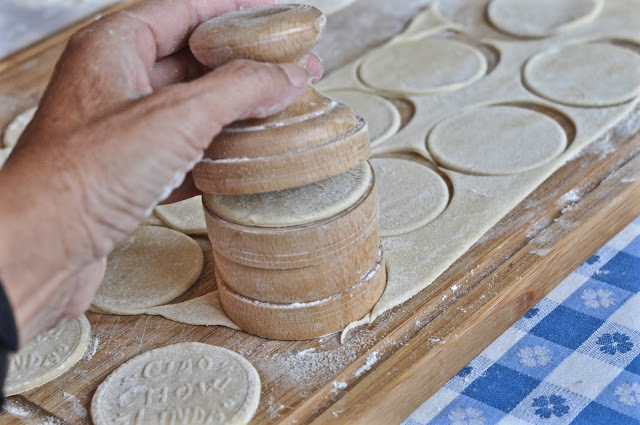 One of these is undoubtedly Pietro Picetti, who seems to have almost single-handedly breathed new life into the centuries-old tradition of making pasta using a corzetti stamp, sometimes spelled crozetti, corzeti, crosetti, or cruxettu. 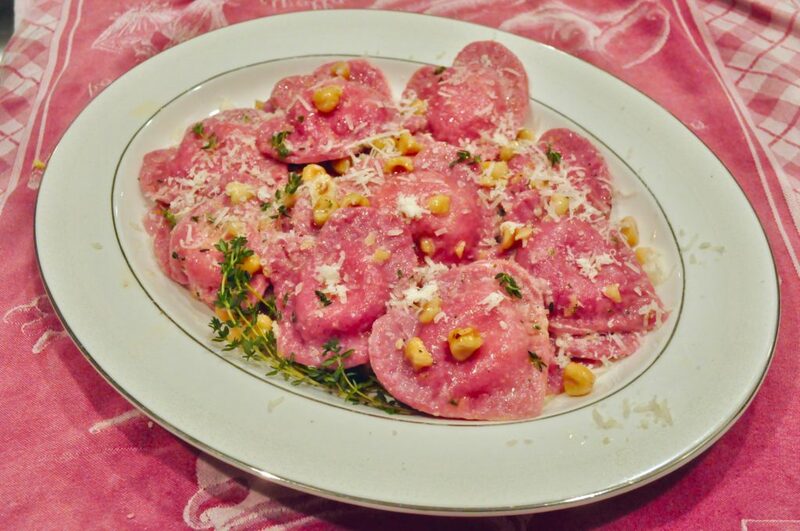 However you spell it, corzetti are delicious, and were traditionally served with a meat sauce, Mr. Picetti said, but now are more likely to be served with a basil pesto or a pine nut sauce. 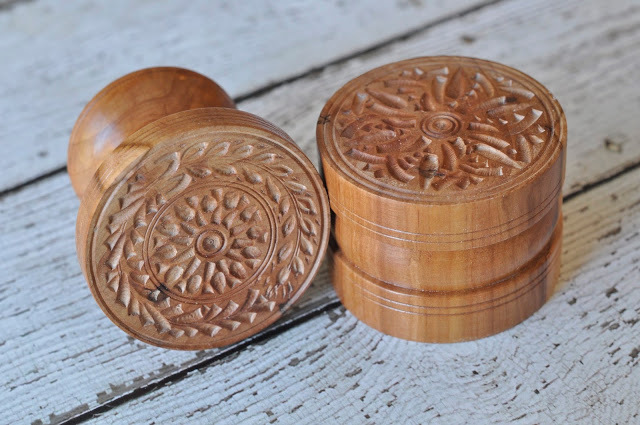 A banker for 35 years, Mr. Picetti has been hand-carving these beautiful pasta tools for the last 20 years, resurrecting a lost art and a form of pasta that was almost relegated to history. Three hundred years ago, he said, every family had its own stamp, and noble families had theirs imprinted with the family coat of arms. 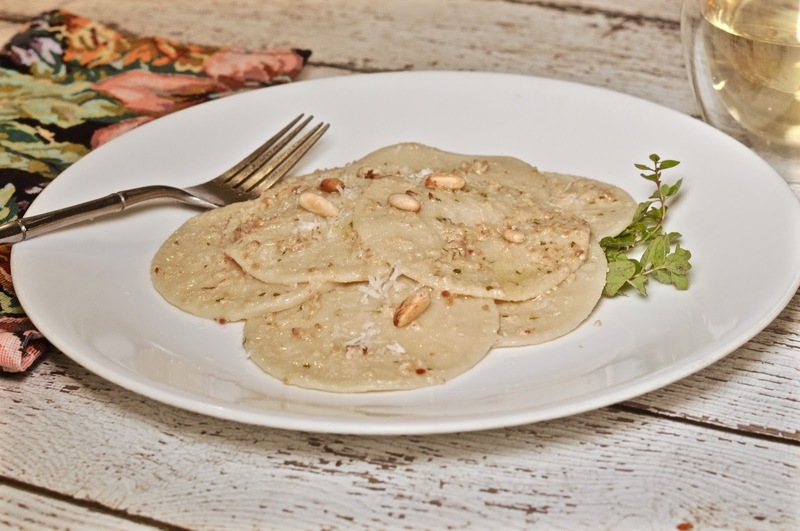 The pasta shape is older than that however, since documents in the archives in Genoa attest to the presence of corzetti at a banquet held for the king of Morocco in 1362. 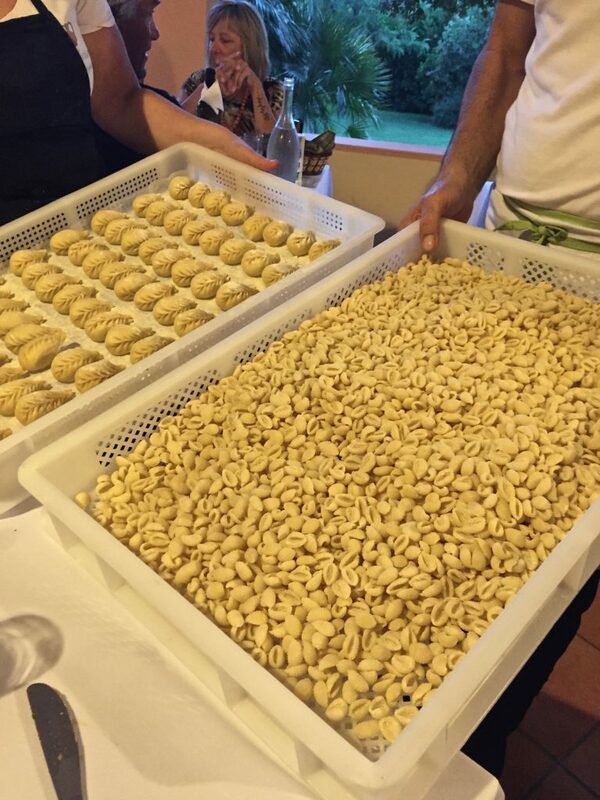 But through the centuries, the custom was lost, even in Mr. Picetti’s home town of Varese Ligure, where the local people had nearly forgotten what corzetti were, he said. 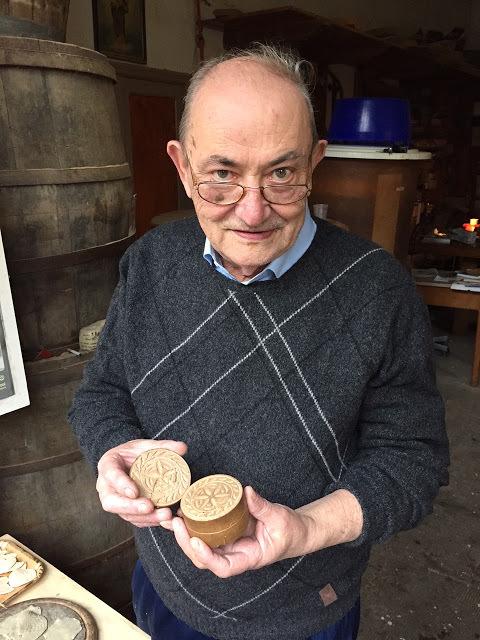 Mr. Picetti owns several corzetti stamps that hail back to past generations of his family, including his great grandfather’s. 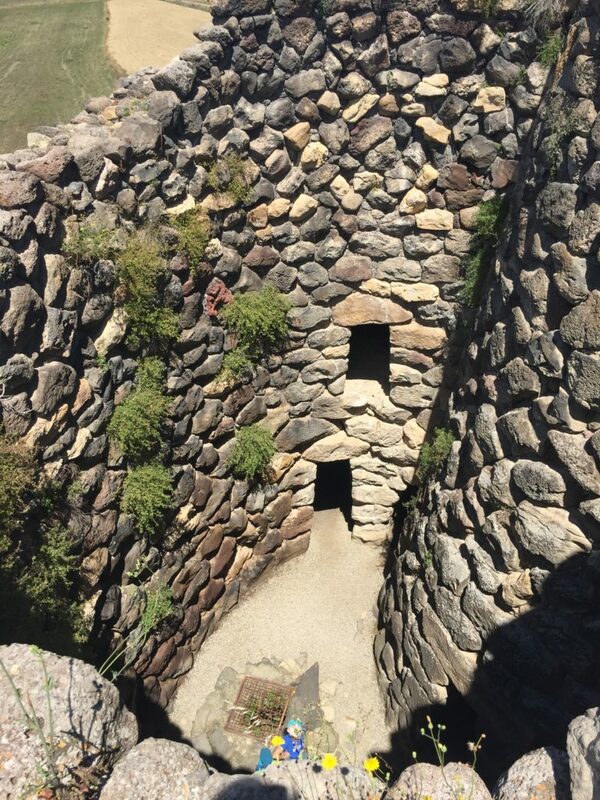 He even owns one dating back to 1700. The wood used is either pear, chestnut or beech and the designs are as varied as Mr. Picetti’s imagination. 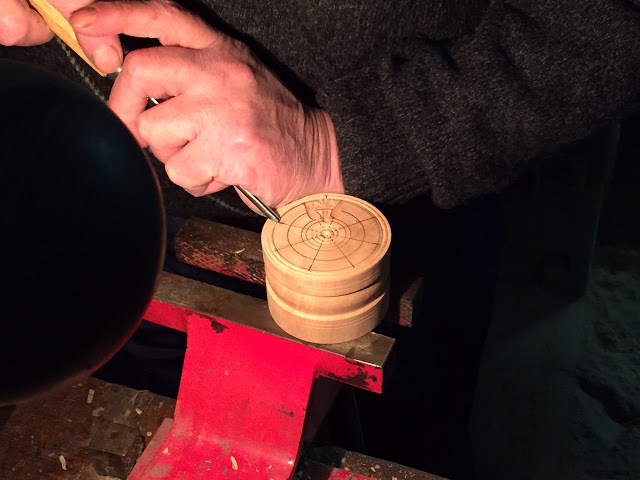 Some are traditional, but others spring from his mind and hands as he’s working the wood. His customers come from around the globe, including Kazakhstan, Australia, and Korea – at least 50 countries around the world. Some are special requests, such as restaurants who have a personal emblem, or companies that want their logo imprinted on the stamp. He’s had requests for logo designs of international companies like Alfa Romeo and Trussardi. Mr. Picetti doesn’t own business cards. Instead, he said, his business card is his corzetti stamp, with his signature printed on the underside of the cutting edge. By the way, never wash the stamp with water, he advised, but just wipe clean with a dishtowel. I’ve already put my newly purchased stamp to work a couple of times since I got back from Italy less than 10 days ago. 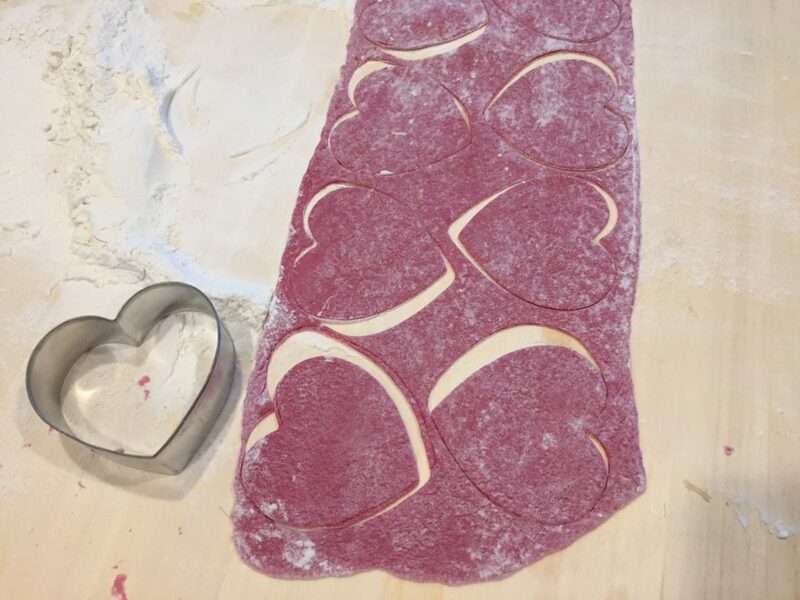 After you cut out the circles with the sharper edge, take one of the pasta disks and place it between the imprinting sections, then press hard. 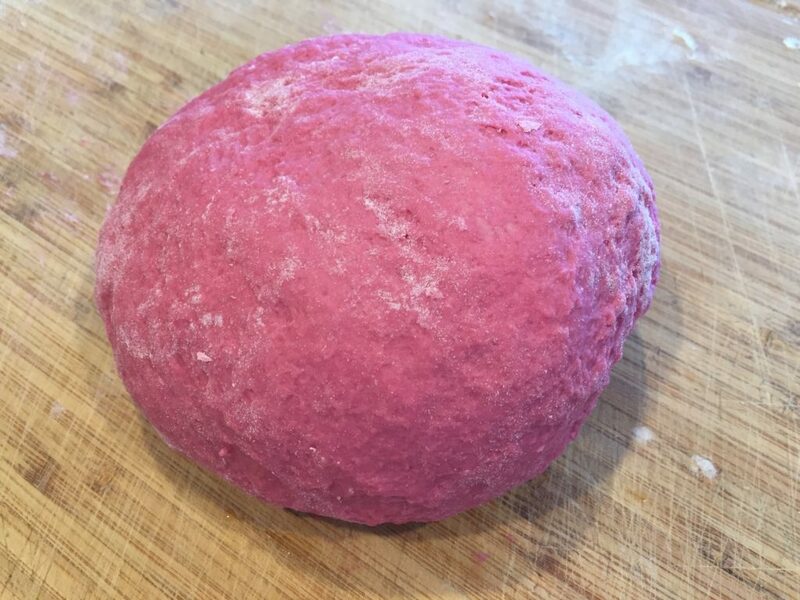 The dough needs to be soft, but covered with a light dusting of flour so it won’t stick to the wood. The recipe made a lot, and I forgot to count the total amount, but I’m sure it was at least 100 corzetti. We were serving six people at my dad’s house and had plenty. 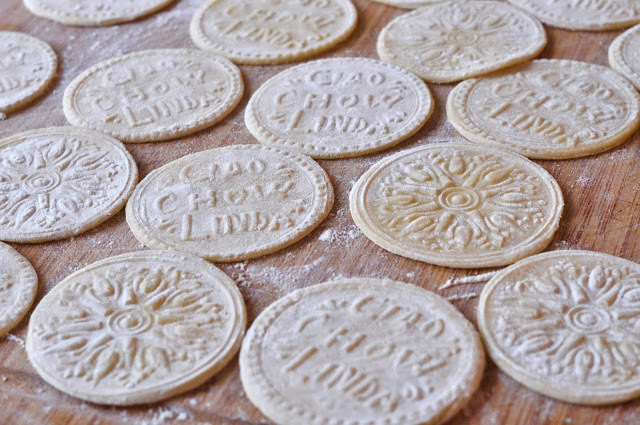 In the photo below, you can see the imprint of “Ciao Chow Linda” and the fancy design on the other side of my corzetti stamp. 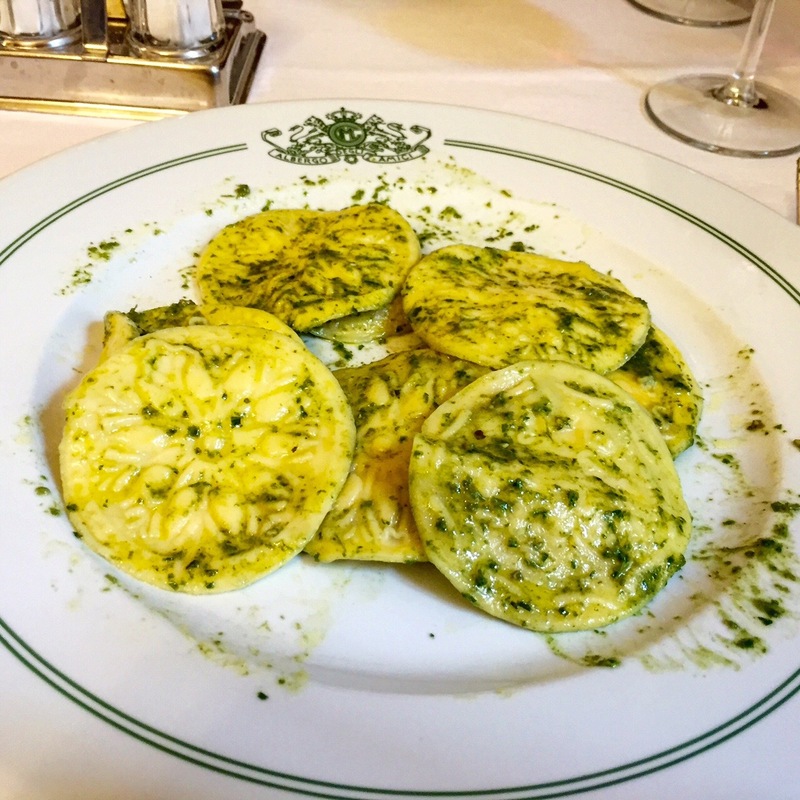 We made two kinds of sauces for our pasta last week — one platter with basil pesto, and the other with pine nuts, parmigiana and butter, just like I ate in Varese Ligure. I think it’s become my new favorite pasta dressing. Click on the video below and listen to Mr. Picetti speak about corzetti. For more about corzetti, visit Adri Barr Crocetti’s terrific food blog. She’s written extensively about them and is a great source on all things corzetti. Click here to view one of her posts on corzetti. 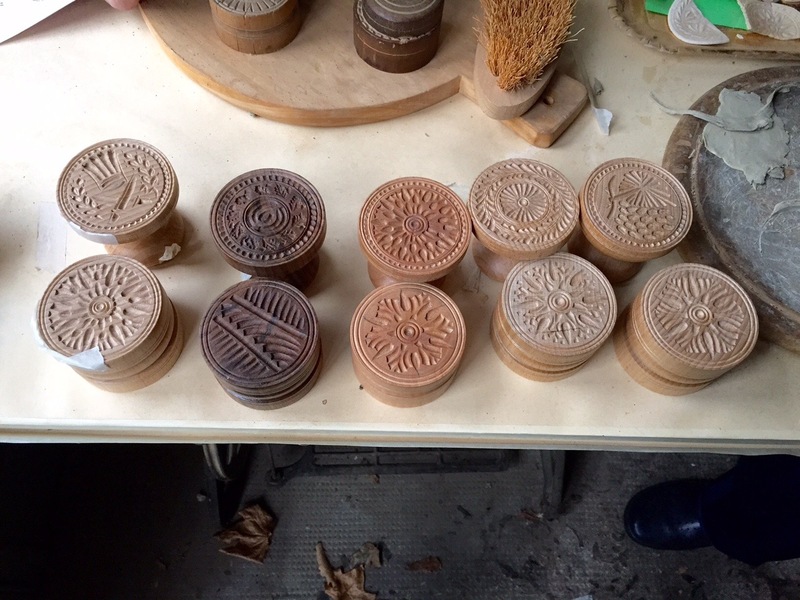 And if you can’t get to Mr. Picetti’s workshop, you can order a corzetti stamp from Artisanal Pasta Tools in California. Click here for their website. And finally, a big thank you to Pamela Sheldon Johns, for sharing lunch with me in Liguria, and for leading me to Pietro Picetti. 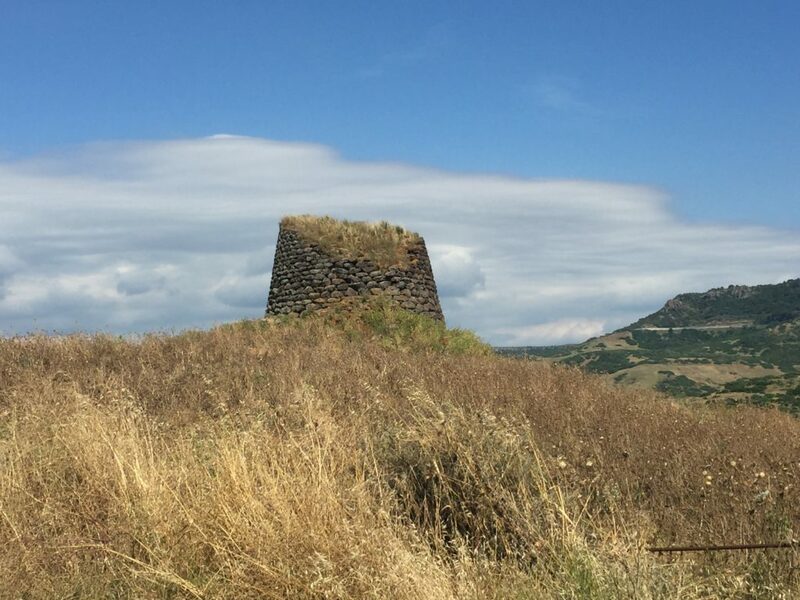 Click here for more information on her B&B in Tuscany and here for her culinary tours in Italy. Mix the flour eggs and half of the water in a food processor. Turn on the processor and slowly add enough water until you get a soft dough. 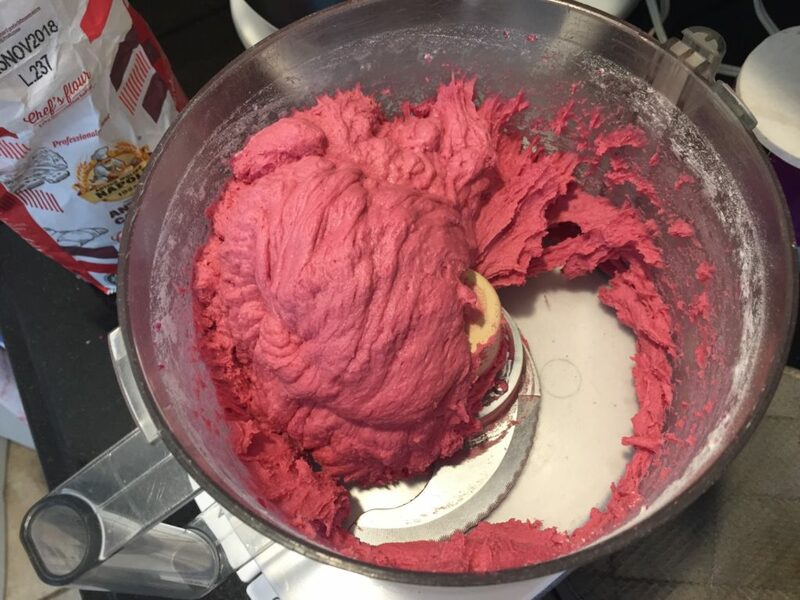 Remove it from the processor and knead it on the counter until it feels smooth. Cover and let rest for at least 20 minutes. (Alternately, mix by hand by putting the flour into a bowl or on a kitchen counter. 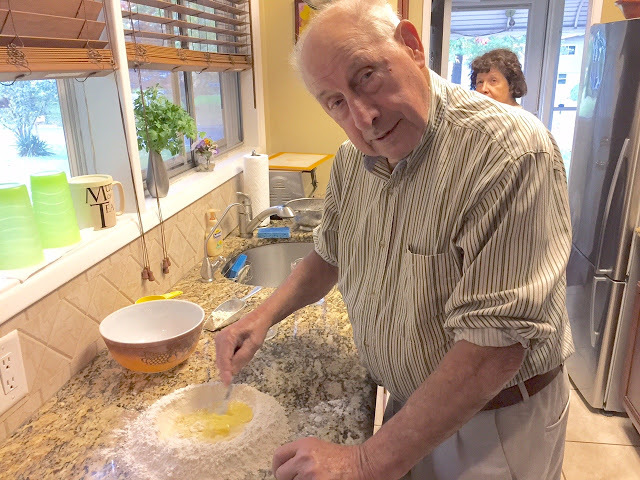 Create a “well” and crack the eggs into the center, beating them with a fork and blending them into the flour, adding the water, a bit at a time. Continue kneading for several minutes until the dough is smooth, then let it rest for about 20 minutes). Run the dough through a pasta machine (or roll by hand) until the dough is thin, but not so thin that it falls apart when pressed on the stamp. 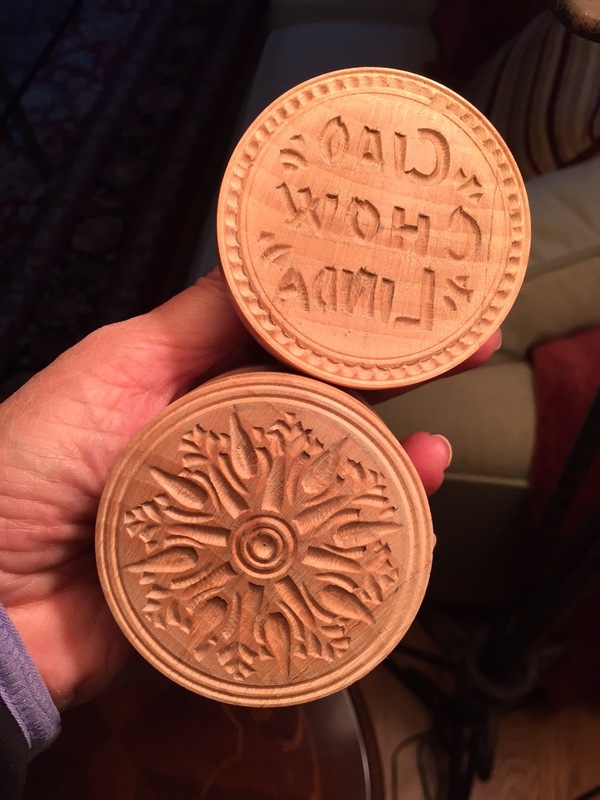 Cut out circles using the sharpest edge of the stamp, then place the circle of dough on the stamp and press down. 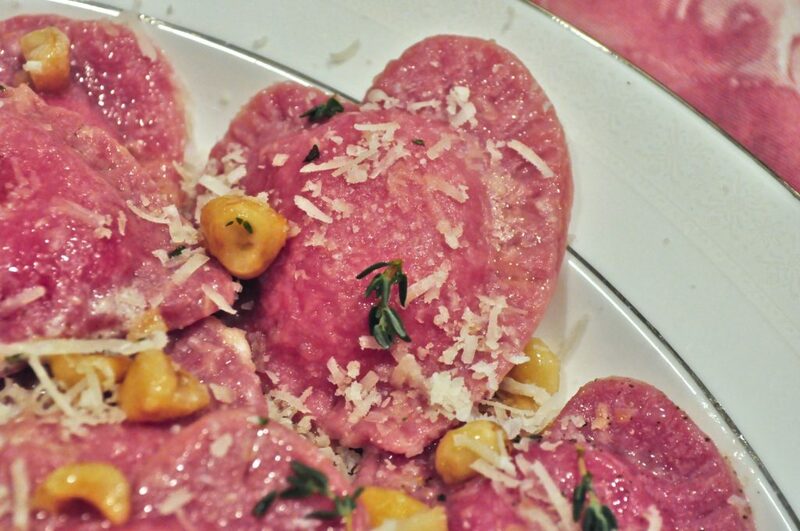 Cook the corzetti in boiling salted water for about six or seven minutes, and top with sauce and parmigiano cheese. 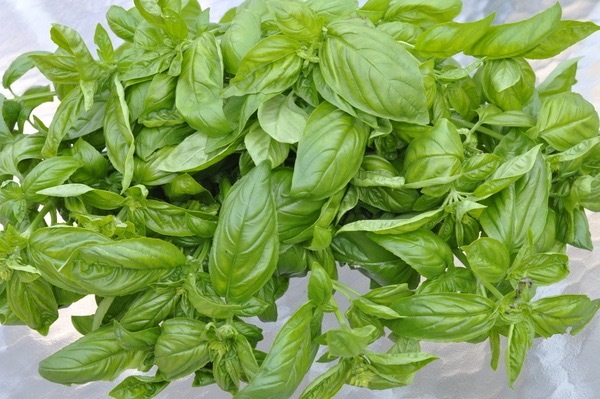 Place the pine nuts, garlic and marjoram into a small chopper or food processor. Blend until crushed. 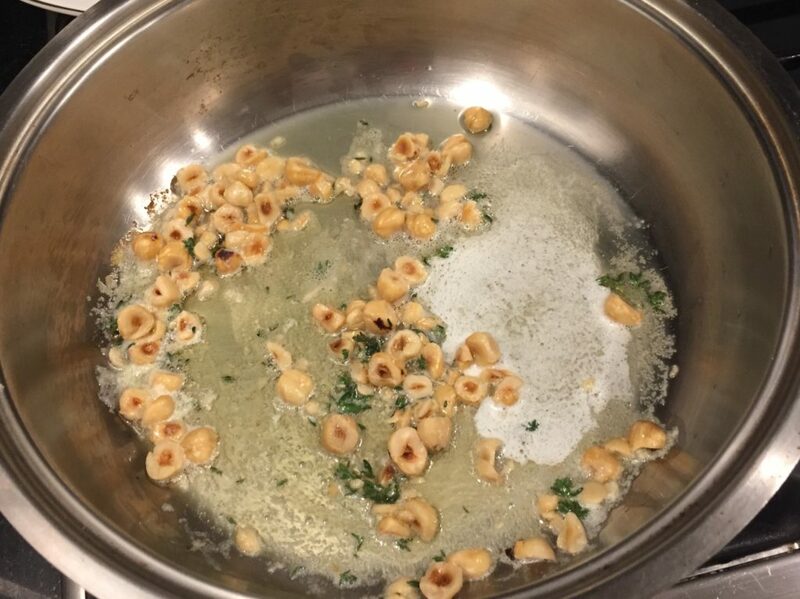 Melt the butter in a saucepan, then add the pine nut mixture. If necessary, thin it out with some milk. Toss with the pasta, and sprinkle with parmesan cheese. The tomato love continues — Here’s yet another way to use up some of those tomatoes ripening by the bushel in your garden. For those of you without your own vegetable gardens, get yourself to a farmer’s market or roadside stand to buy some, because this recipe is not only delicious, but fast and easy to prepare. 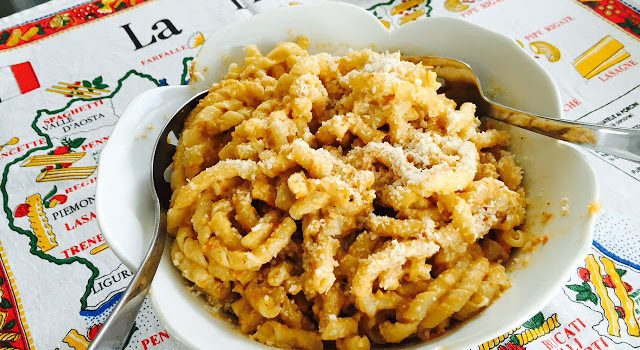 A food processor is all you need – no cooking required, except for dropping the pasta into boiling water (and when Italians are ready to boil the pasta, they say “butta la pasta” which literally means “throw the pasta”). 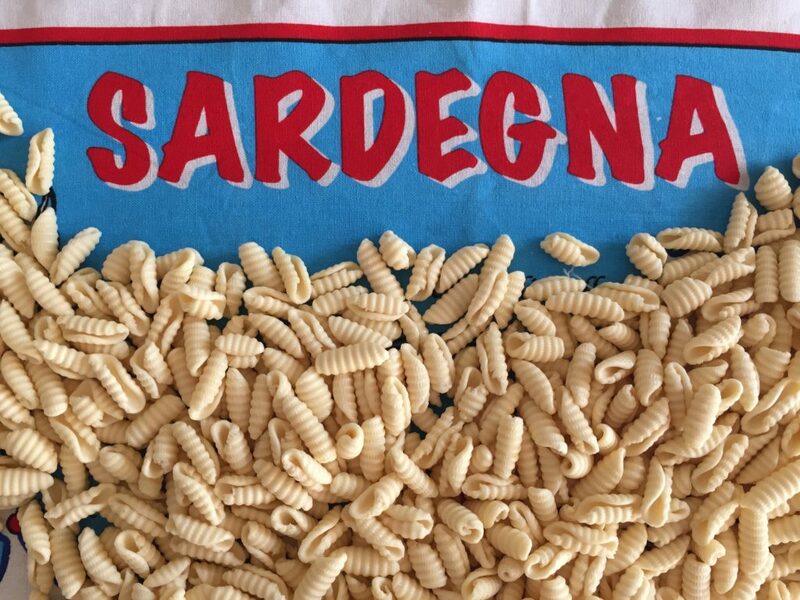 In this case, I used busiati, a long, twisty, corkscrew-like pasta, but if you can’t find it, use fusilli. Busiati is the traditional pasta shape that’s used with pesto Trapanese, a sauce that hails from Trapani, a city on the western coast of Sicily. The origins of the dish are unclear. 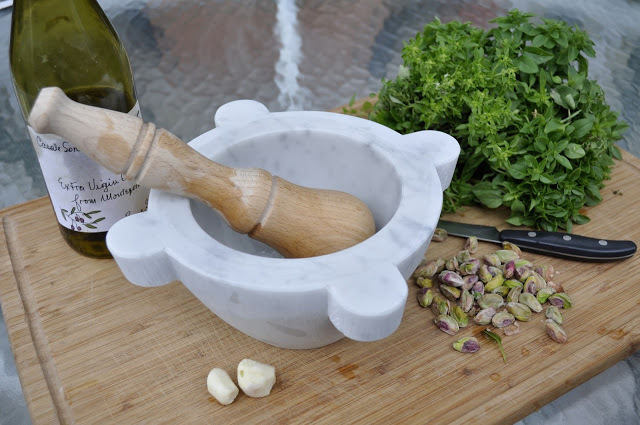 Some say it was inspired by pesto Genovese, from Ligurian sailors who were stopping off at Trapani’s port. 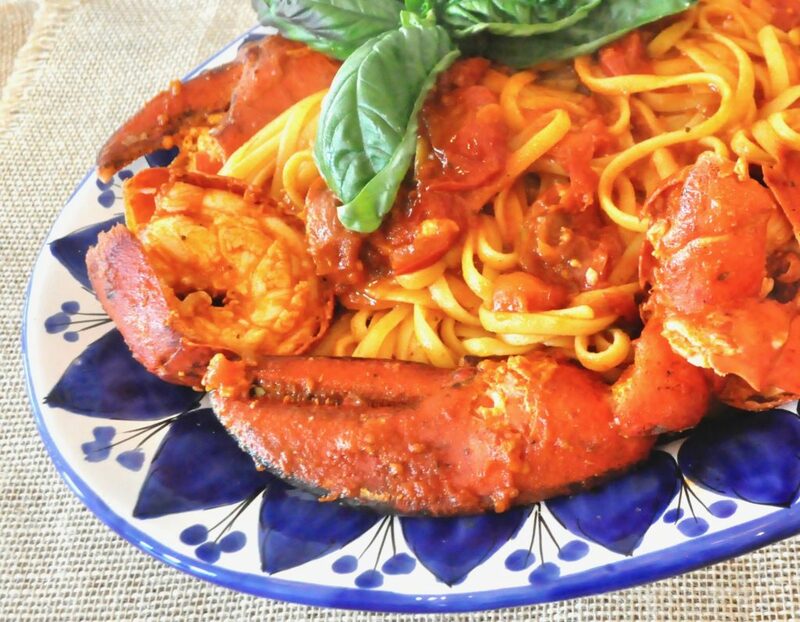 Others claim it’s derived from Liguria’s agliata, a pasta dish using only olive oil, garlic, walnuts and tomatoes. 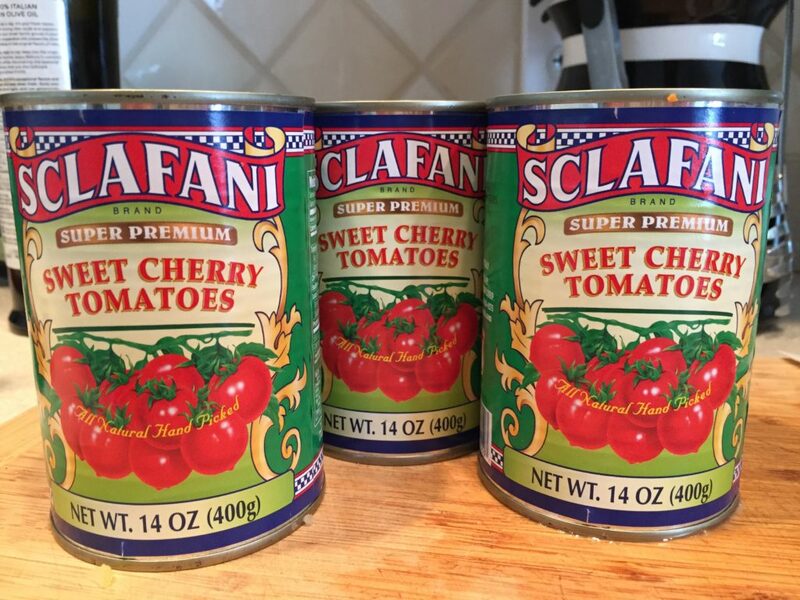 Whatever its origin, it’s now become part of my summertime repertoire when tomatoes are plentiful and at their peak. 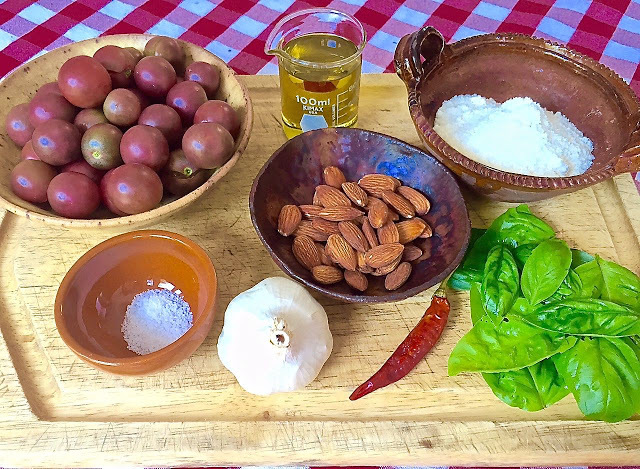 Here are the cast of characters for this dish: cherry tomatoes (you can use plum or heirloom or any type, really), extra virgin olive oil, whole almonds, garlic, salt, basil, and red hot pepper flakes. 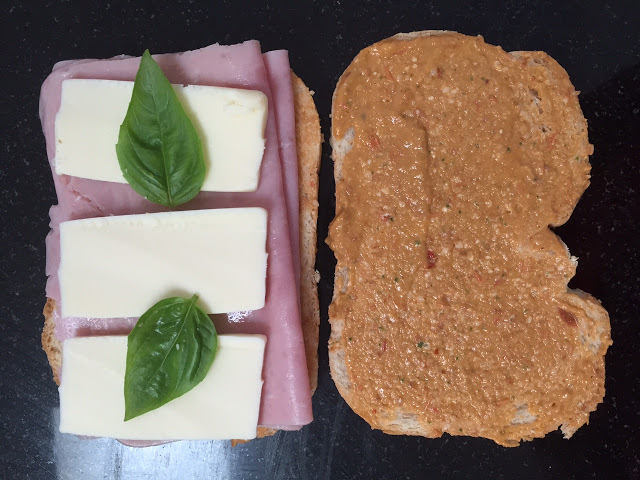 I used parmesan cheese but you could also use pecorino cheese. Keep some of that hot pasta water handy in case you want to thin out the sauce. My favorite way to eat this dish is hot, although it tastes good lukewarm or cold too. Everything gets thrown into a blender and whirred until it’s creamy. It may not be the most attractive looking pesto, but it sure tastes great. The sauce is also delicious on broiled or baked chicken or fish, or vegetables, or even as a spread on sandwiches. 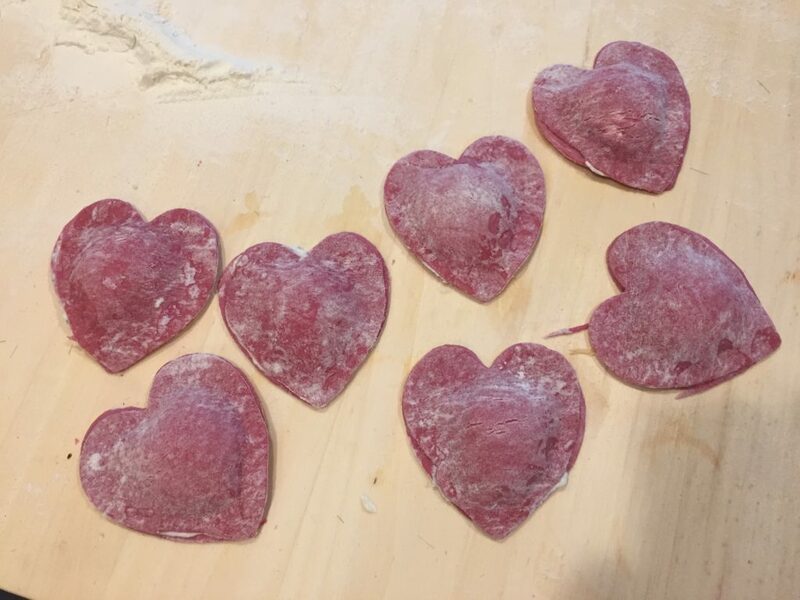 But first try it on pasta. 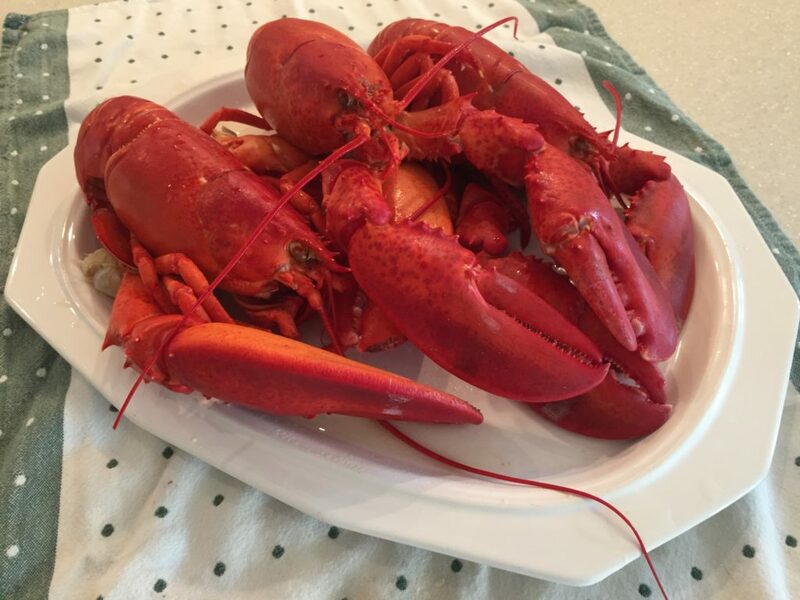 I’ll bet it becomes one of your favorite summer meals. Ciao Chow Linda is also on Instagram, as well as Facebook and Pinterest. 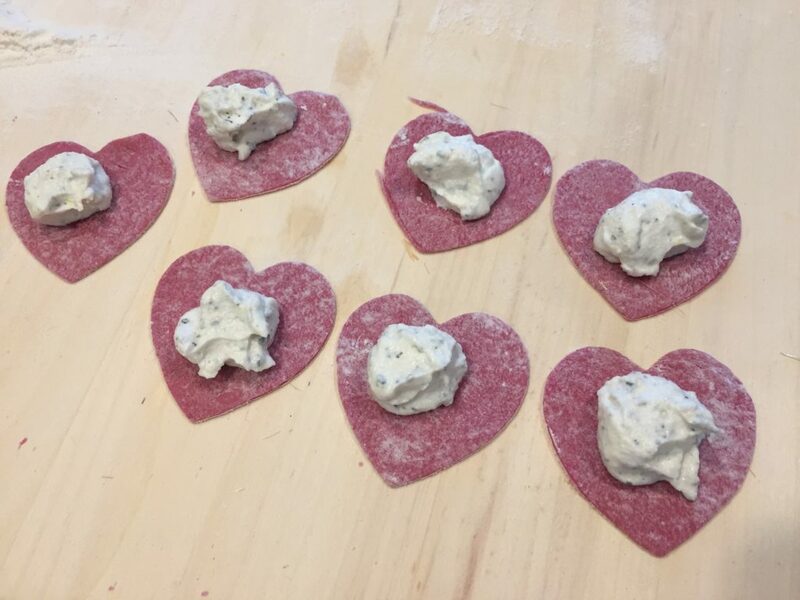 Click here to connect with me on Facebook, here for my Pinterest page, and here for my Instagram page to see more of what I’m cooking up each day. And if you live in the Central N.J. area, join me this Saturday, August 29 at 11 a.m. at the West Windsor Farmer’s Market, when I’ll be on a panel discussion with other food writers and photographers, including Rome-based Katie Parla and NJ Monthly columnist Pat Tanner. 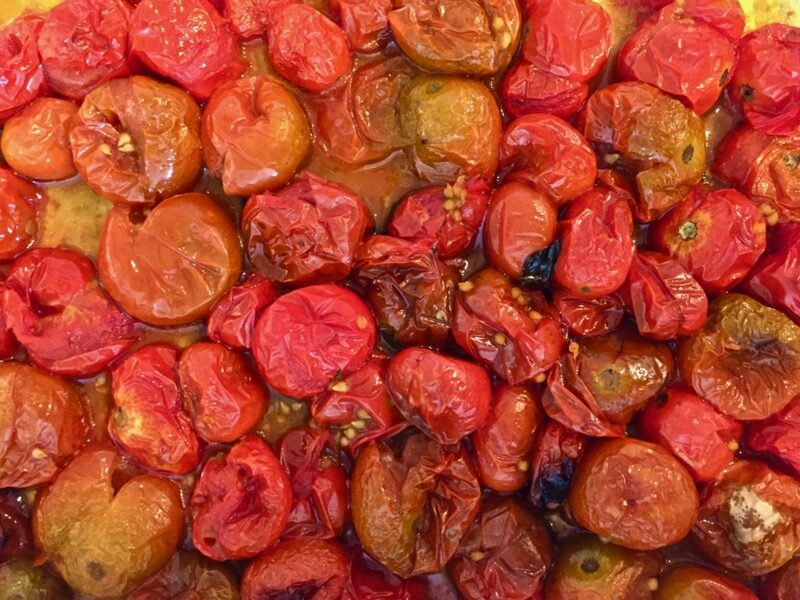 Drop the tomatoes into the blender jar or food processor bowl followed by the garlic clove, the almonds, basil leaves, peperoncino and 1/2 tsp salt. 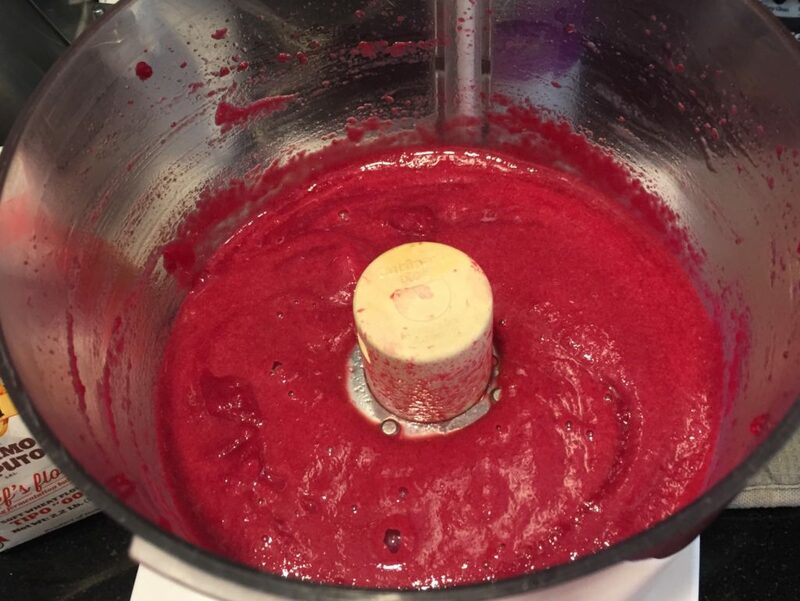 Blend for a minute or more to a fine purée; scrape down the bowl and blend again if any large bits or pieces have survived. 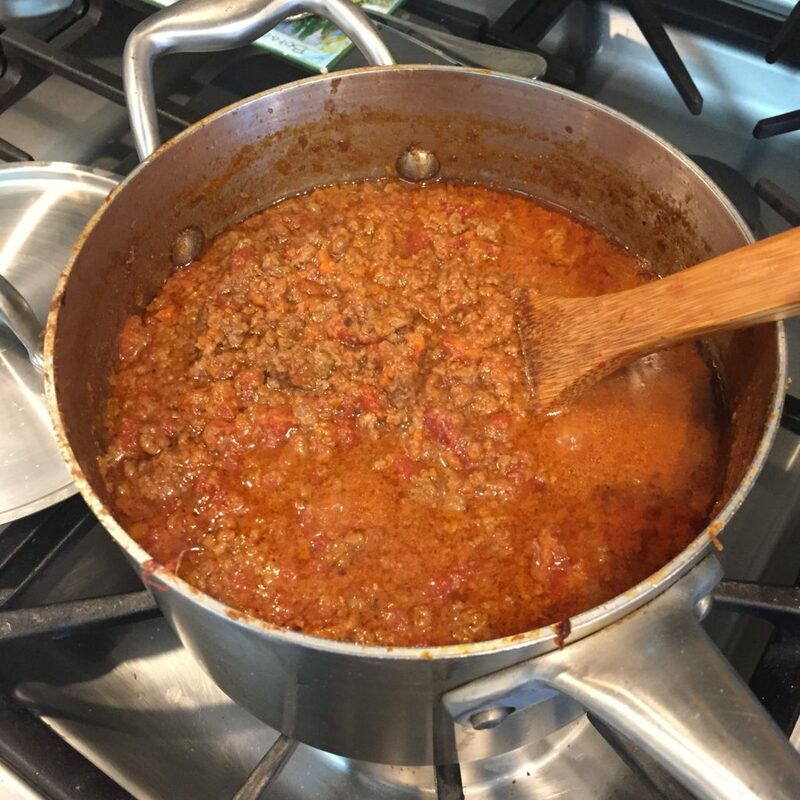 To cook the spaghetti, heat 6 quarts of water, with 1 tablespoon salt to the boil in the large pot. 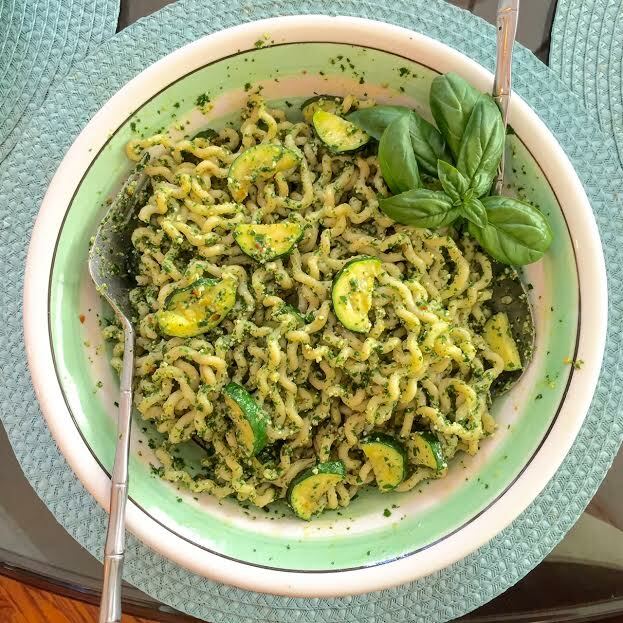 Scrape all the pesto into a big warm bowl. 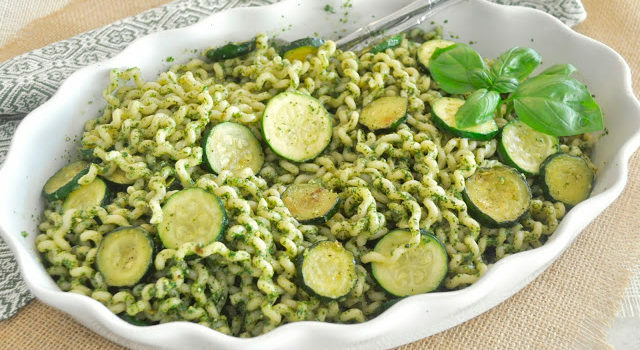 Cook the pasta al dente, lift it from the cooking pot, drain briefly, and drop onto the pesto. Toss quickly to coat the spaghetti, sprinkle the cheese all over, and toss again. Serve immediately in warm bowls.